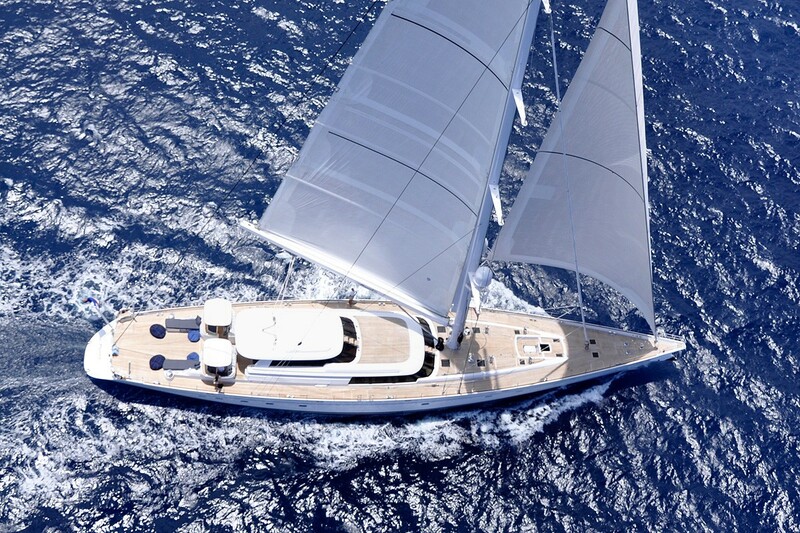 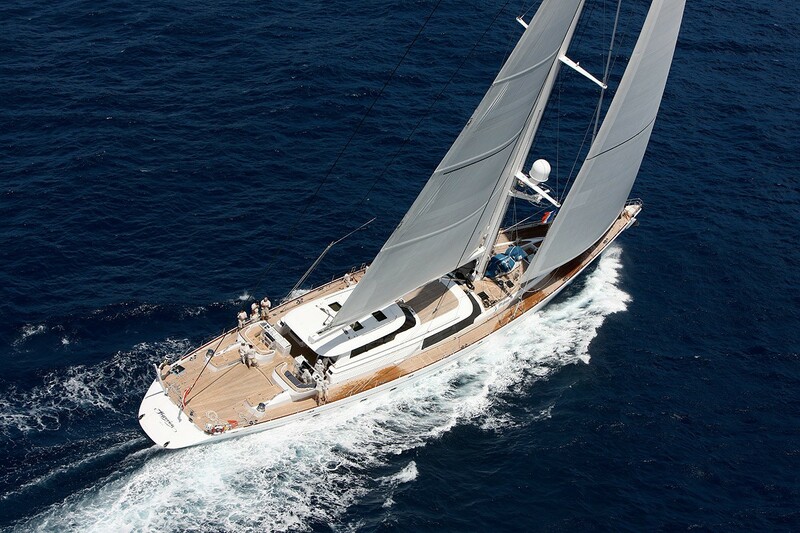 Sailing yacht HYPERION is a well-known large and powerful Royal Huisman yacht built in 1998. 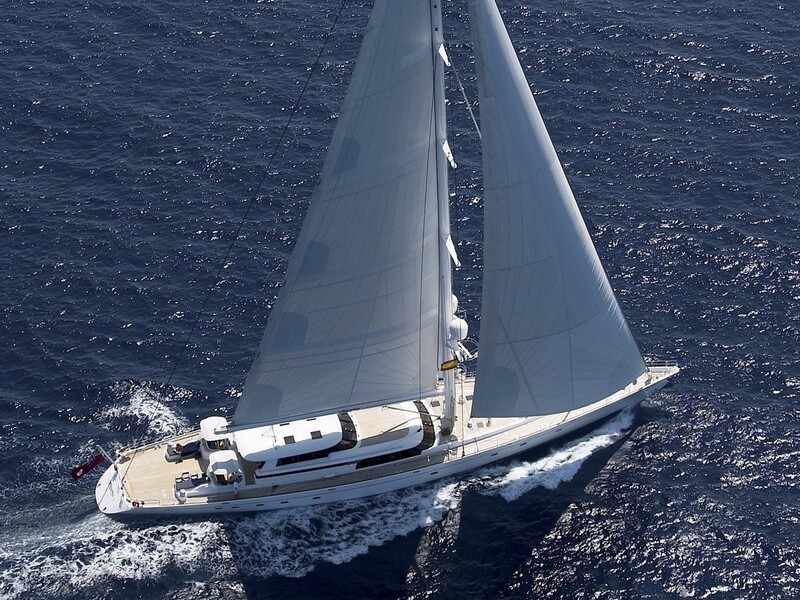 With naval architecture by German Frers, she measures 47.4m (155.6ft) and boasts traditional lines mixed with modern technology. 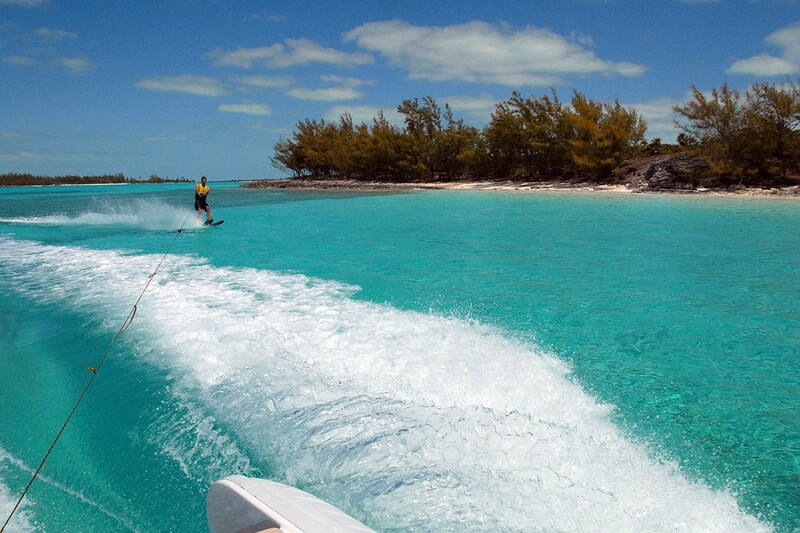 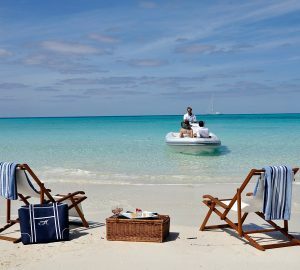 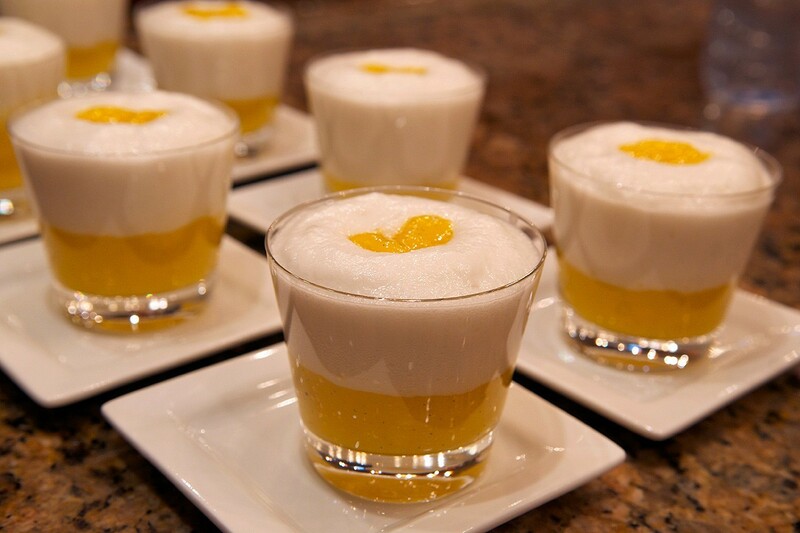 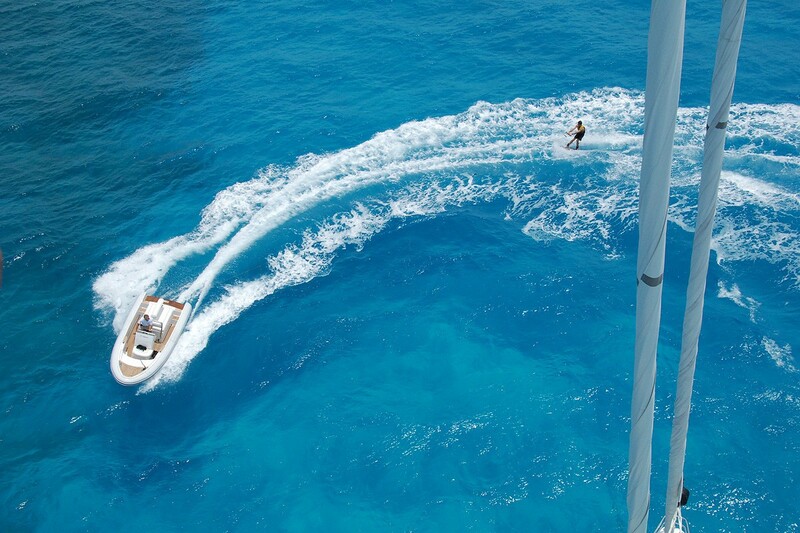 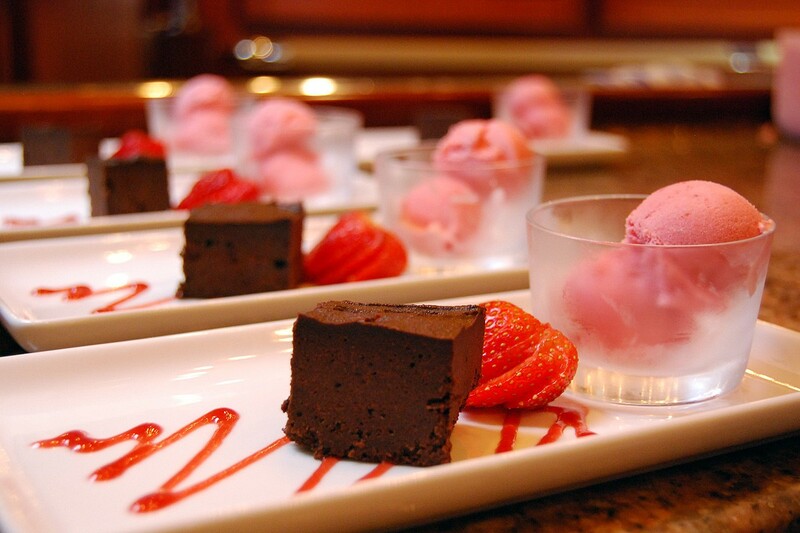 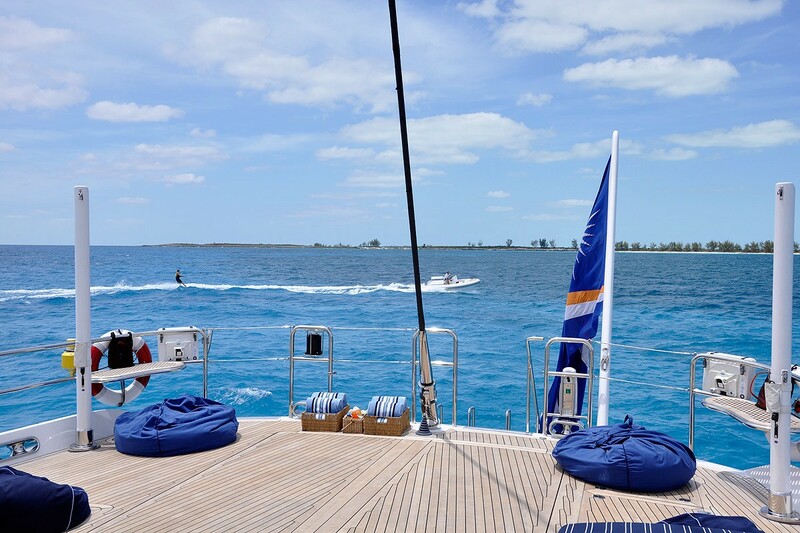 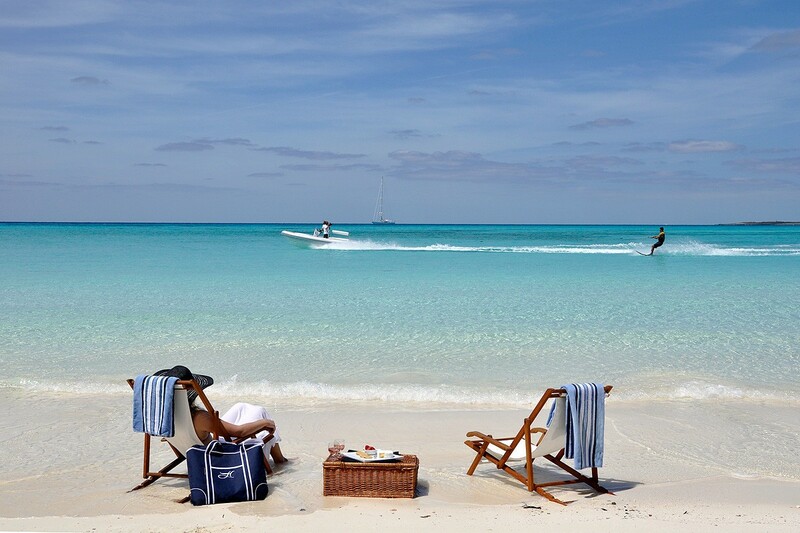 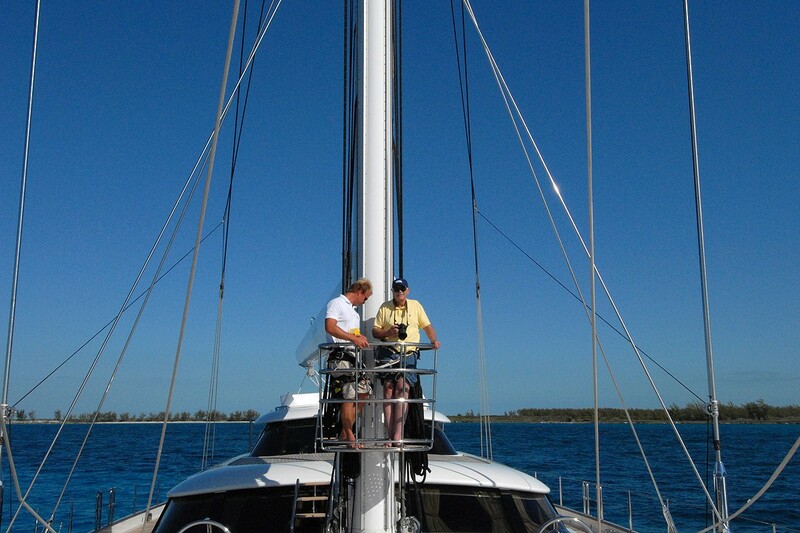 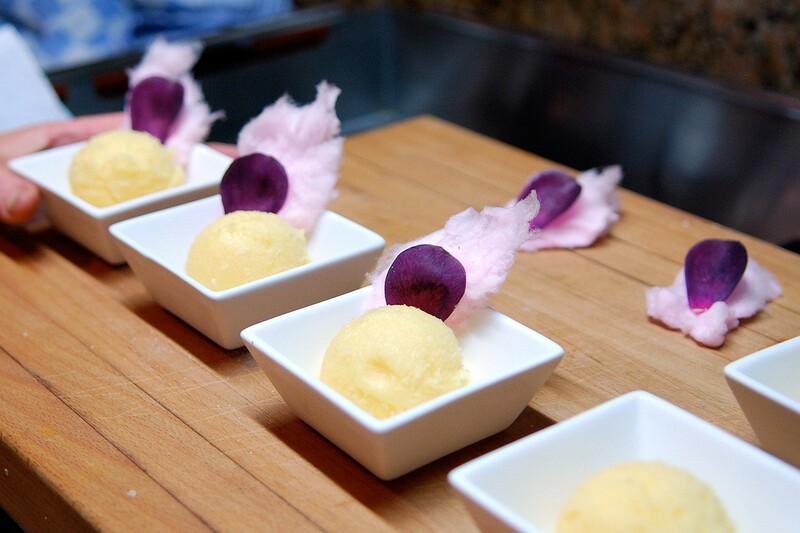 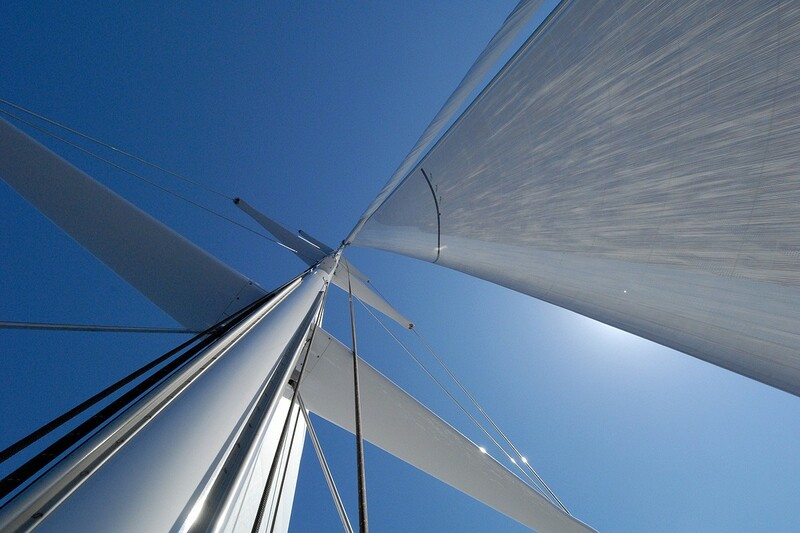 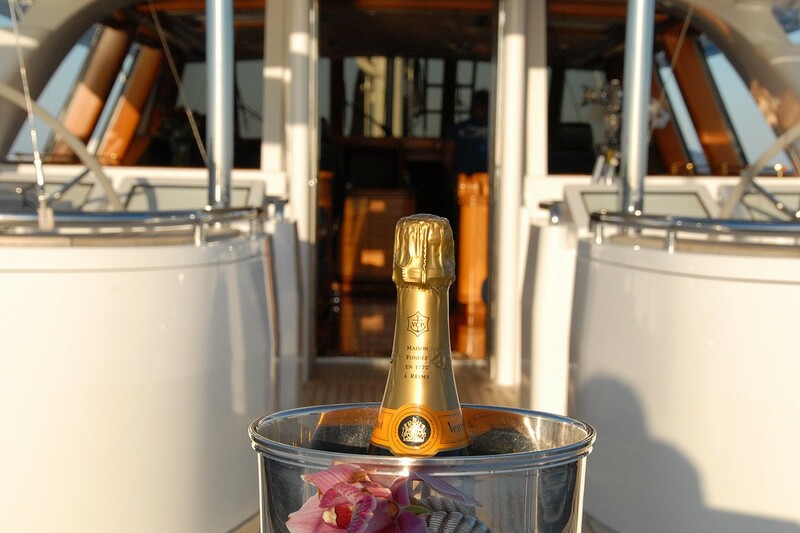 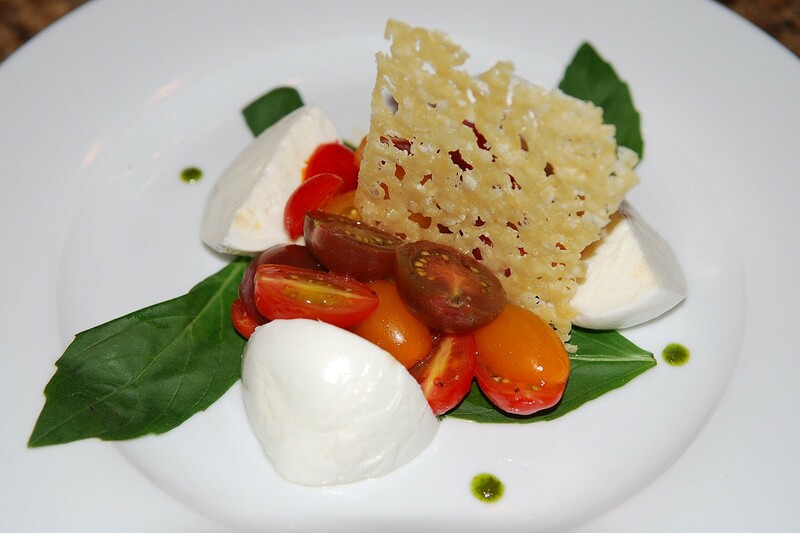 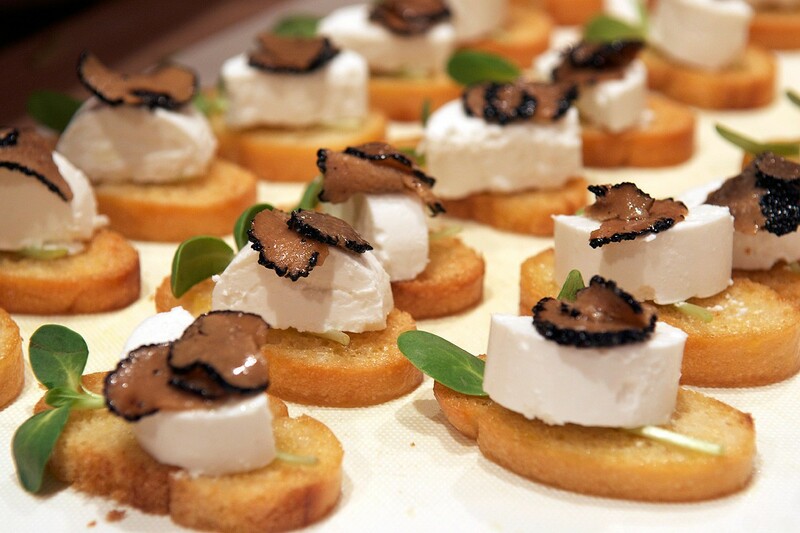 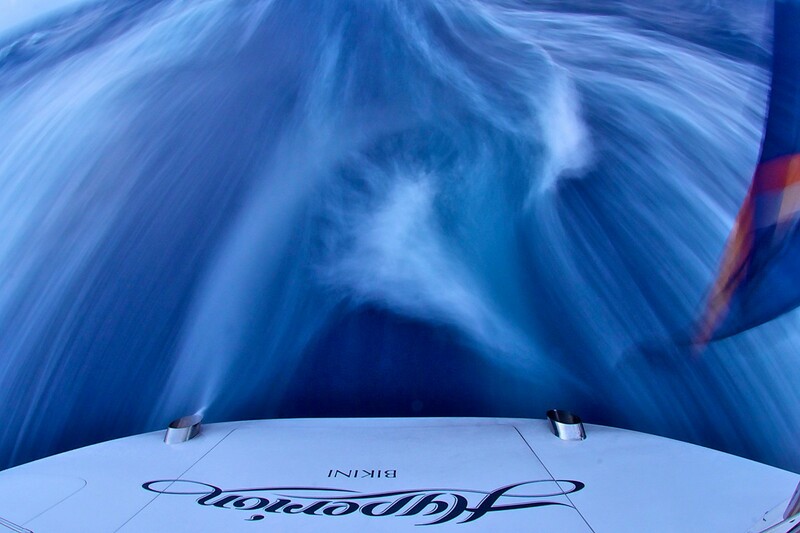 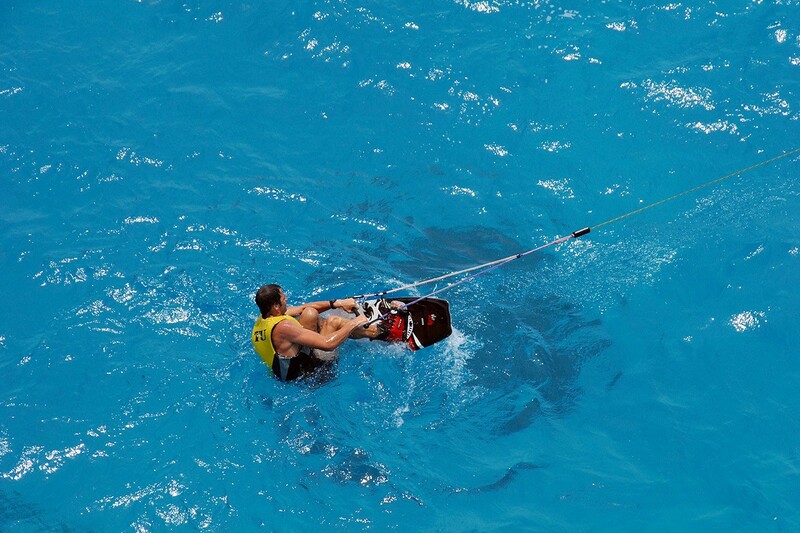 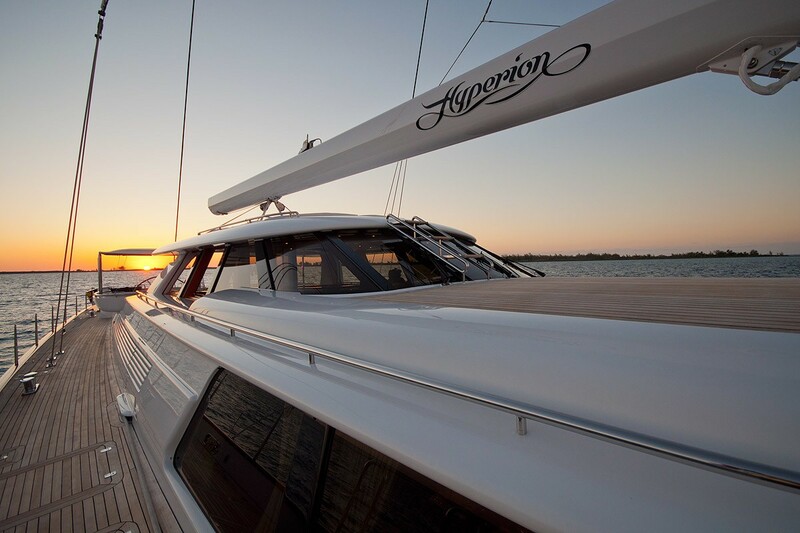 HYPERION will provide a memorable sailing experience for an intimate group of up to 6 appreciative guests. 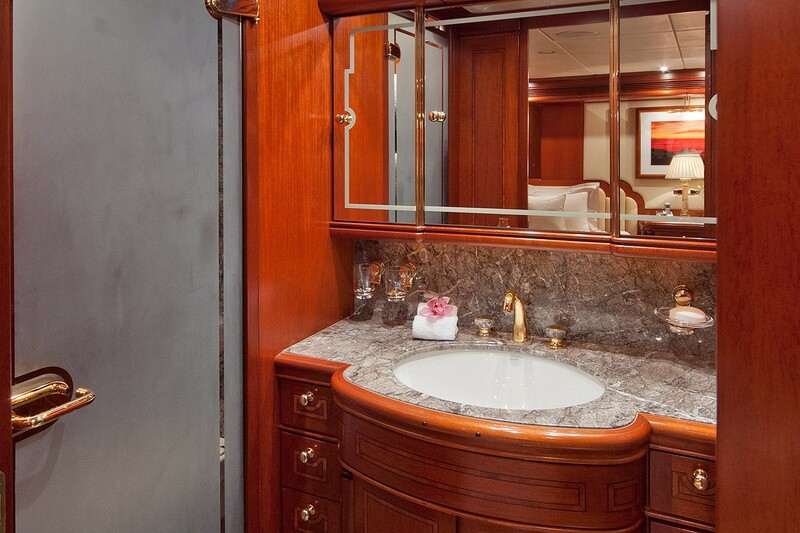 She was refitted in 2015. 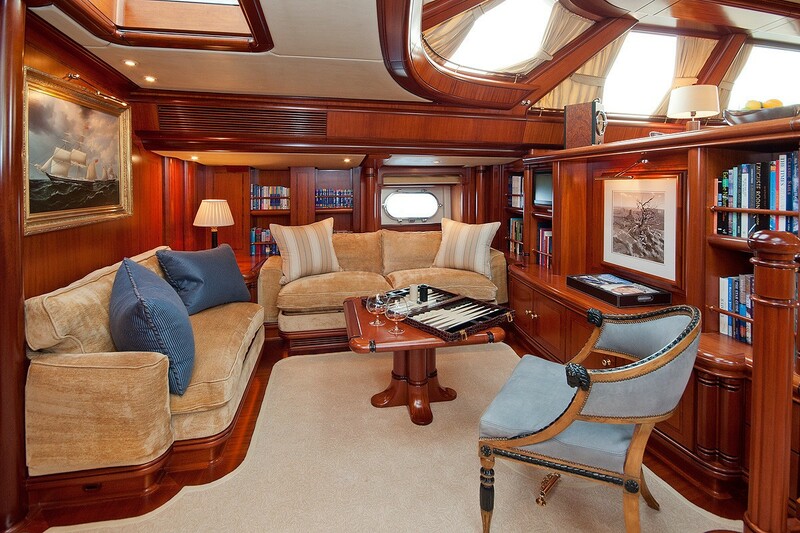 The interior aboard the S/Y HYPERION was designed by Pieter Beeldsnijder and features true elegance from the beautiful warm mahogany panels with inlaid marquetry, to the exquisite Moroccan marbles, to the finest in custom fittings, the yacht is simply a stunning embodiment of luxury, style and over all, quality. 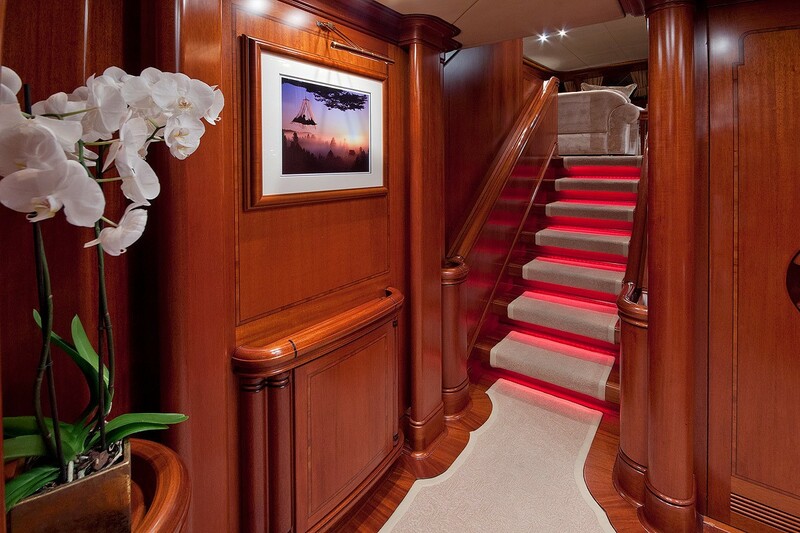 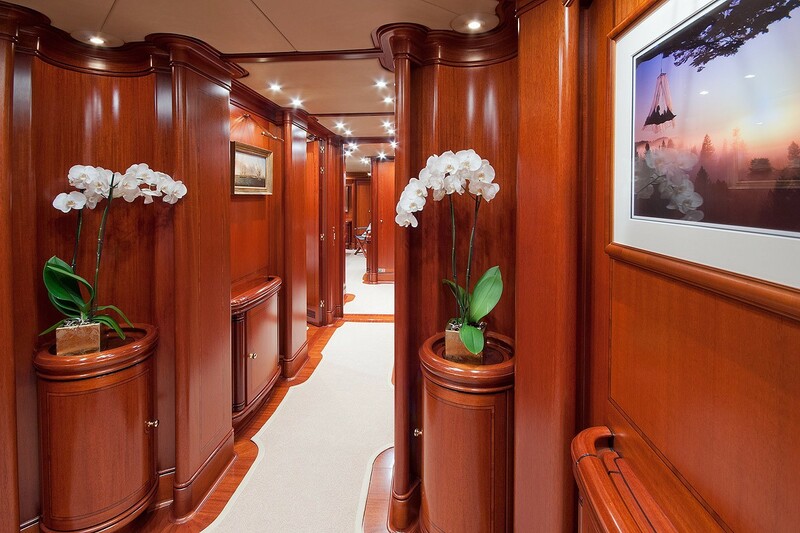 Charter yacht HYPERION boasts 3 interior lounges areas. 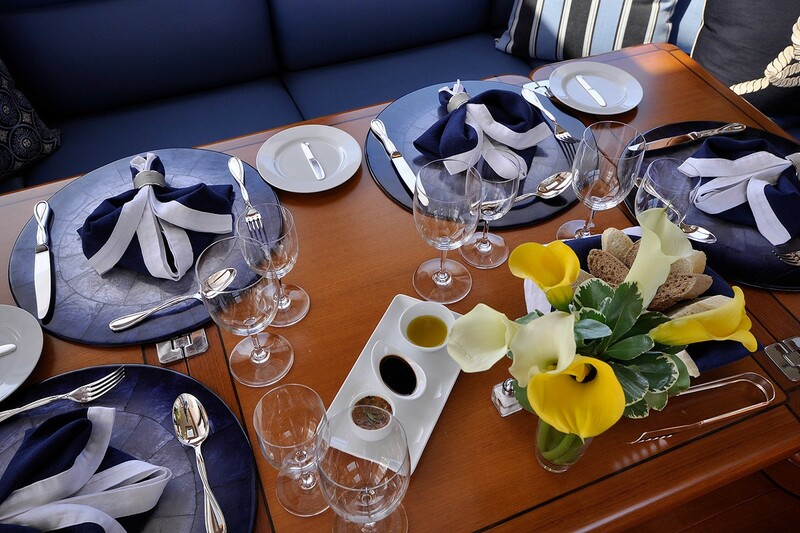 The pilot house has 2 spacious seating areas with tables and unrivaled views. 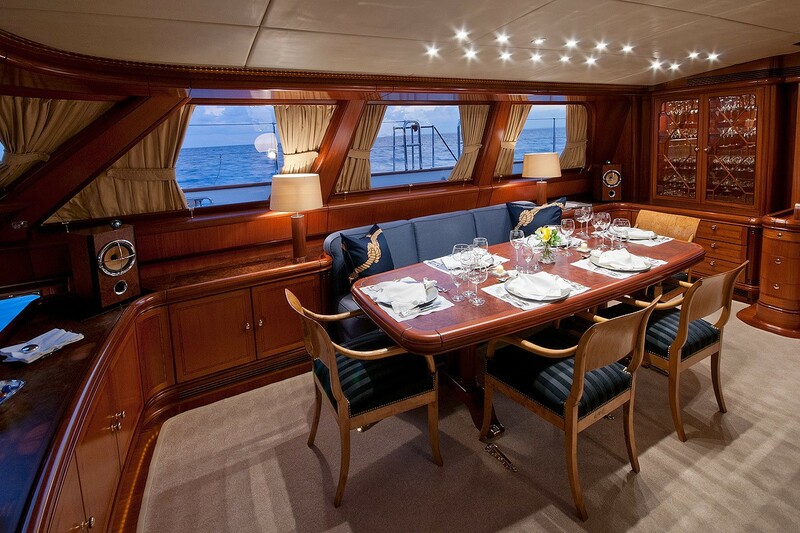 Below, the upper salon features surrounding windows, a formal dining table and lounge area. 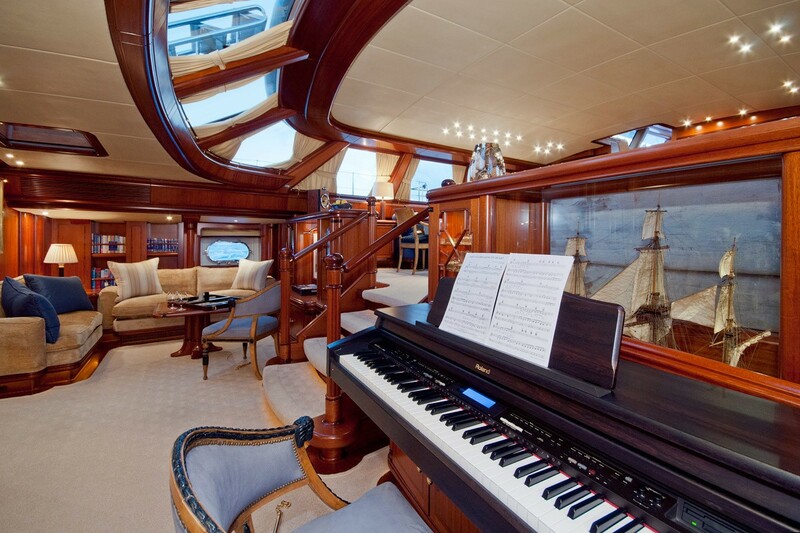 A lower salon is the ideal area to enjoy an evening of entertainment, with a generous lounge space, occasional chairs and even a piano. 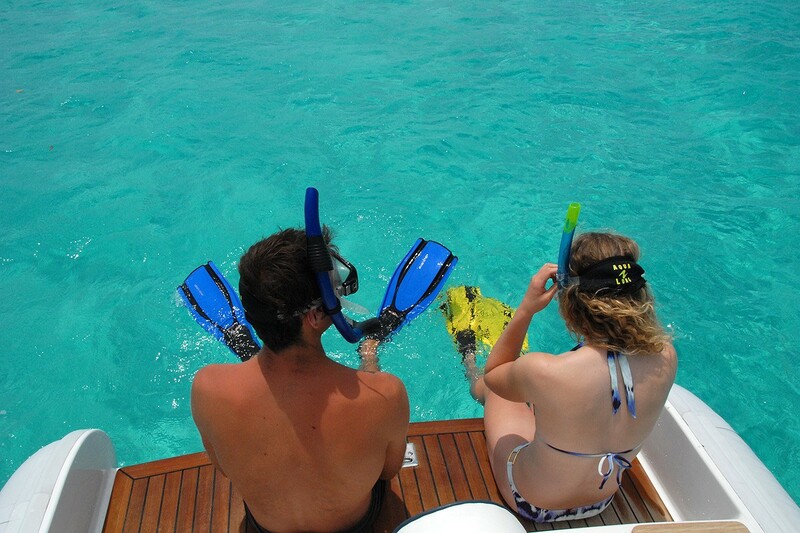 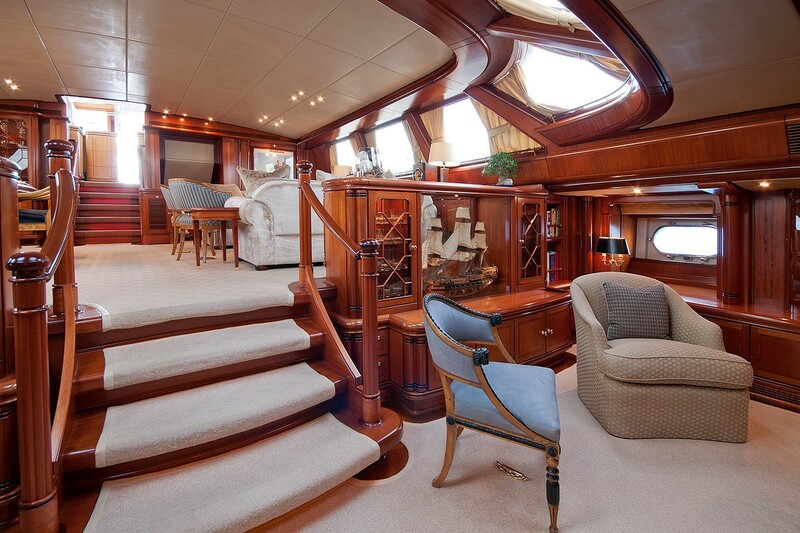 Guest accommodation is below decks aft of the lower salon, in 2 double and 2 twin cabins. 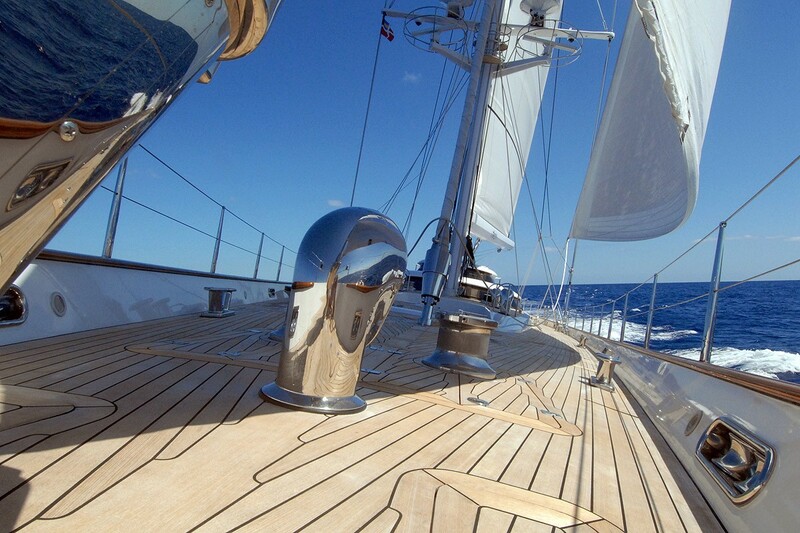 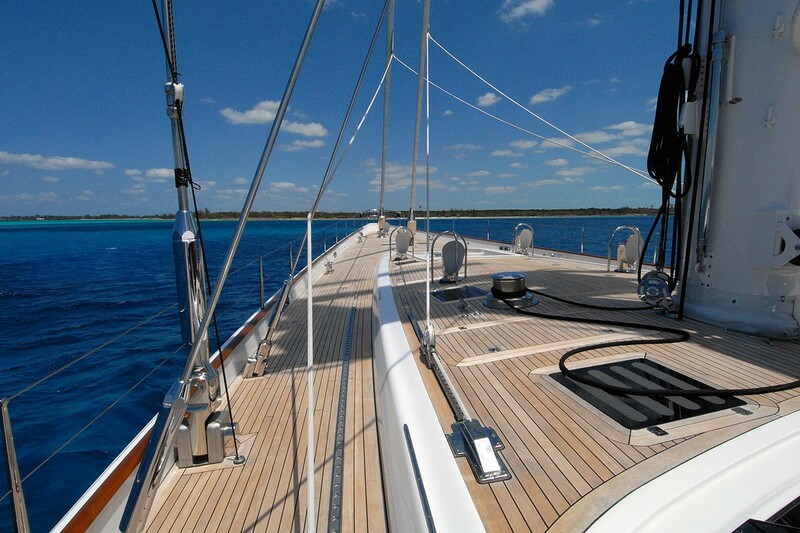 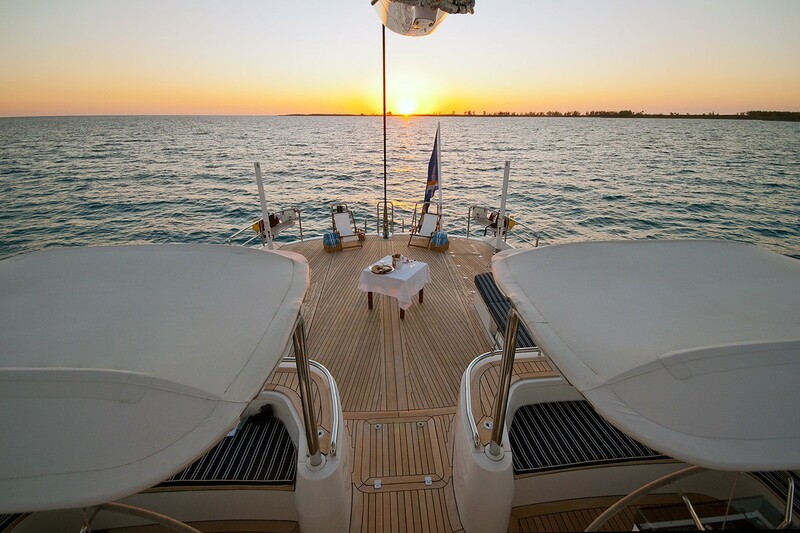 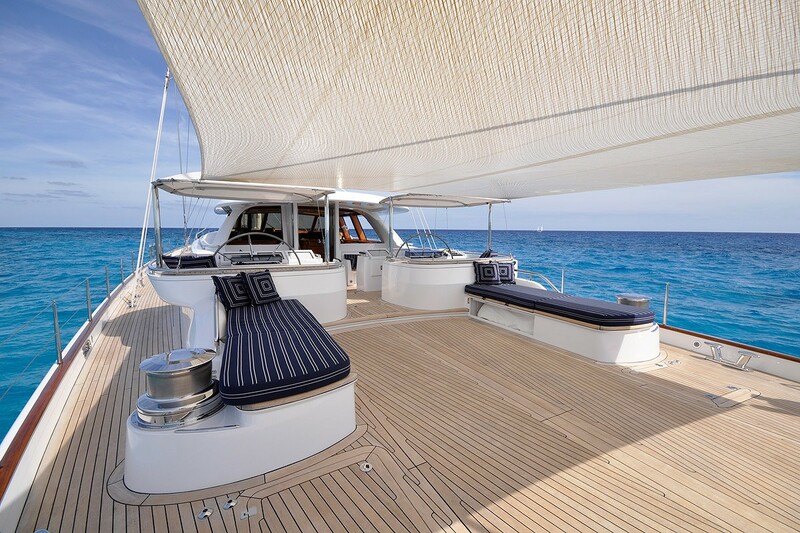 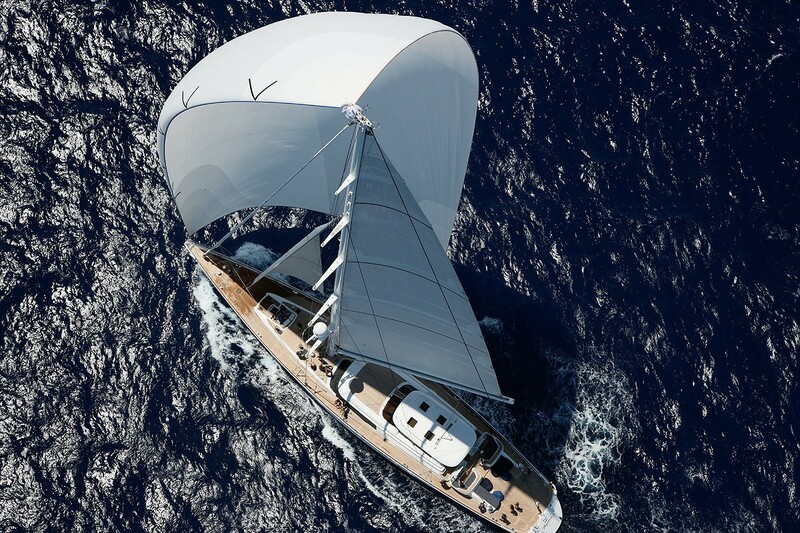 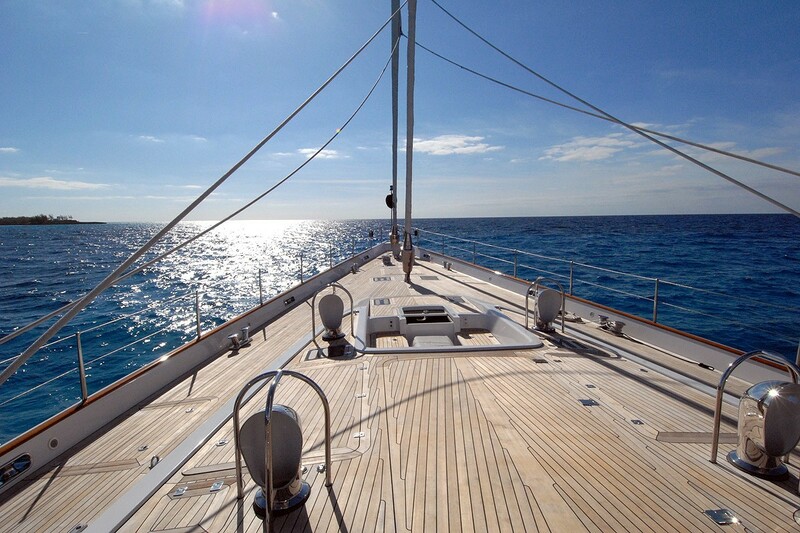 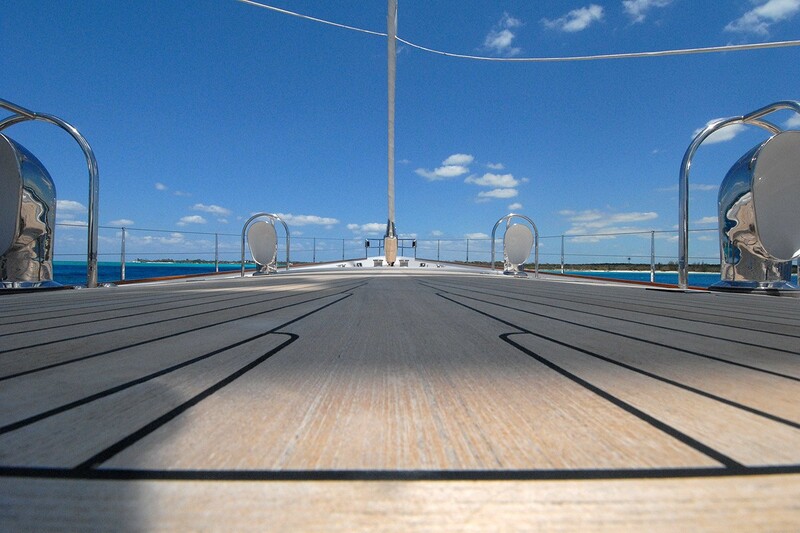 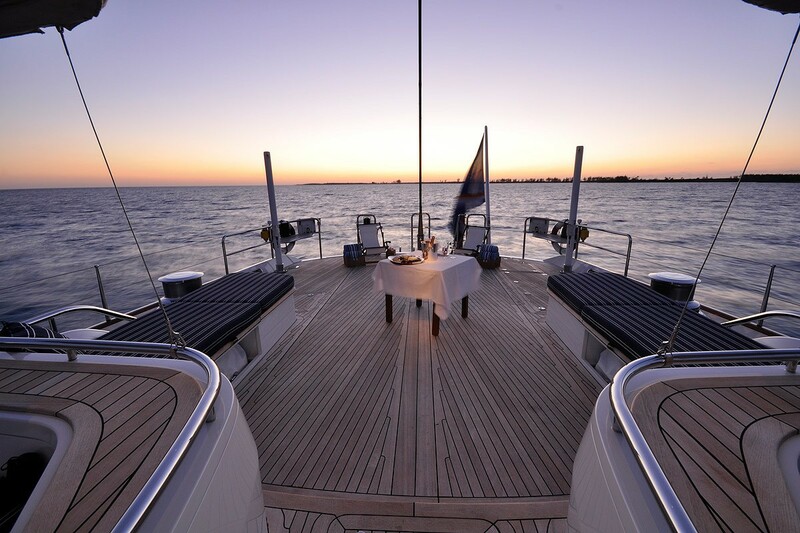 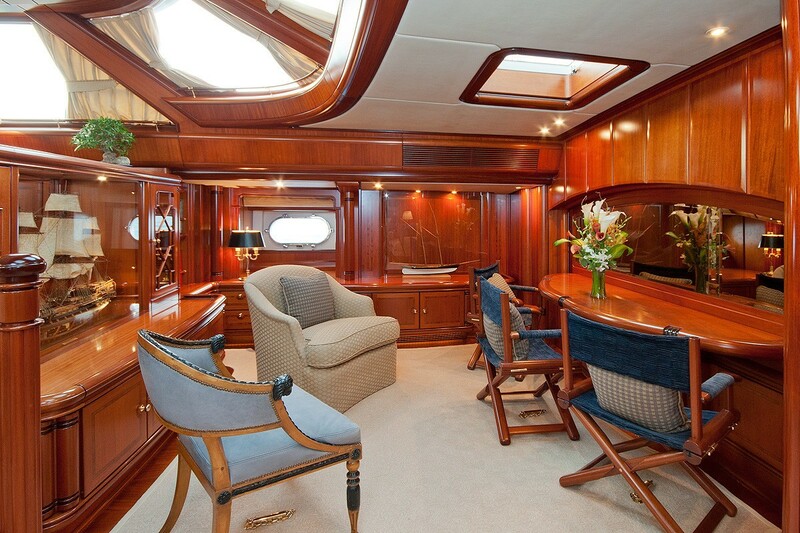 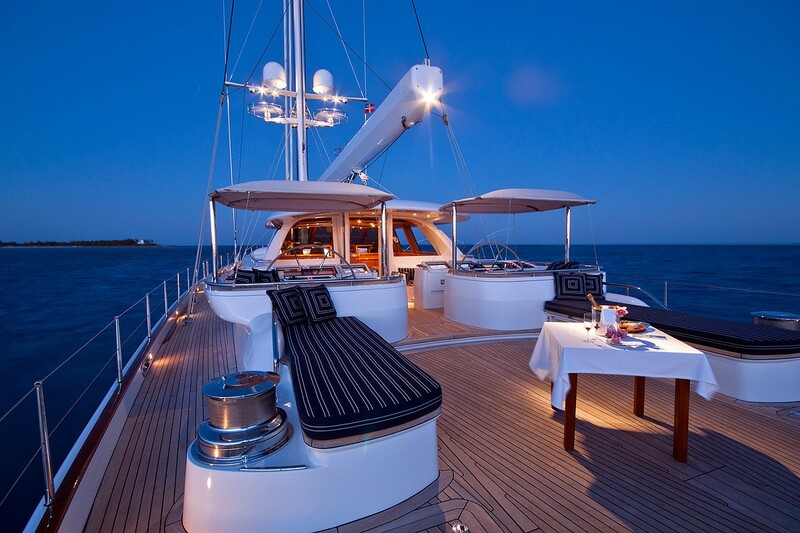 Sailing yacht HYPERION offers ample exterior living on luscious teak decking. 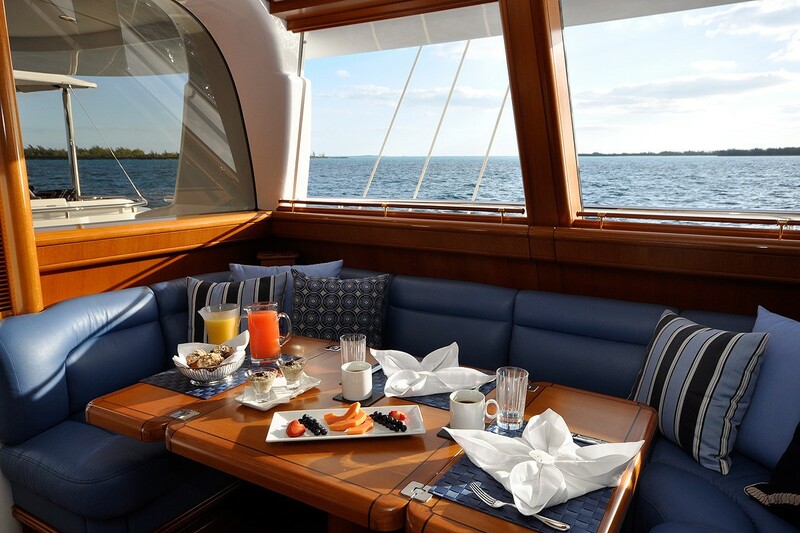 The aft deck has a covered seating area, dual helm stations alfresco dining option and plenty of space to entertain, formally or casually. 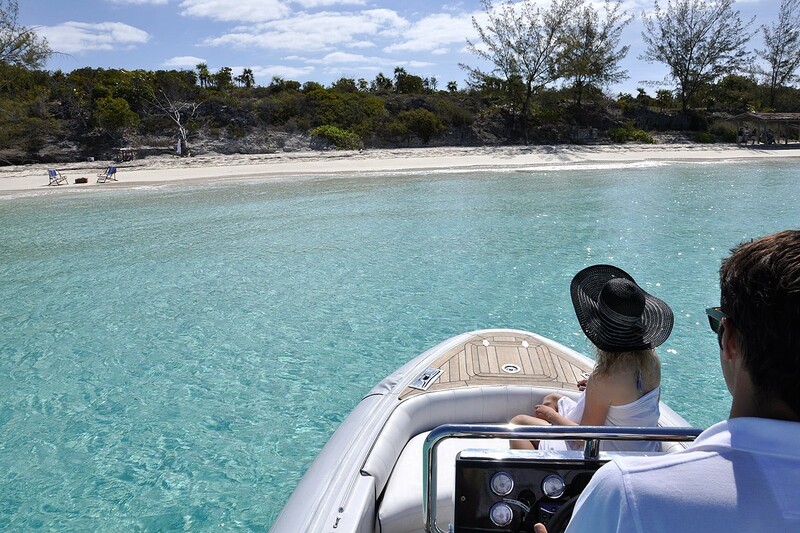 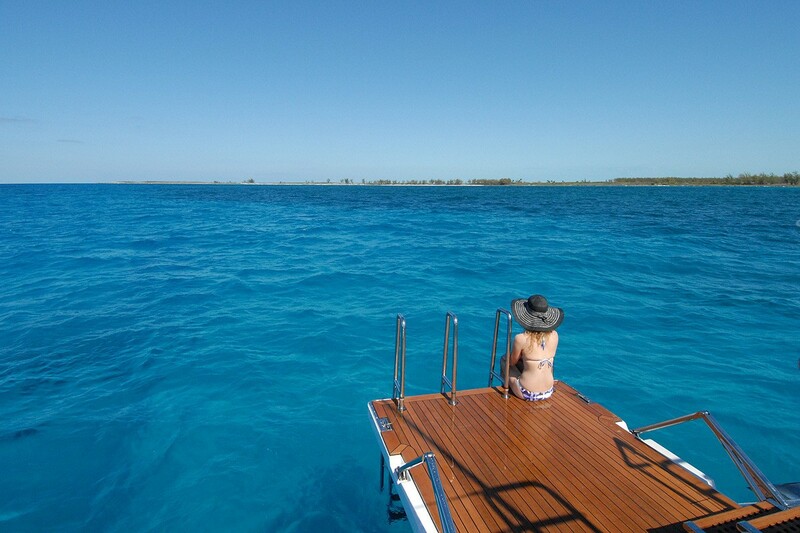 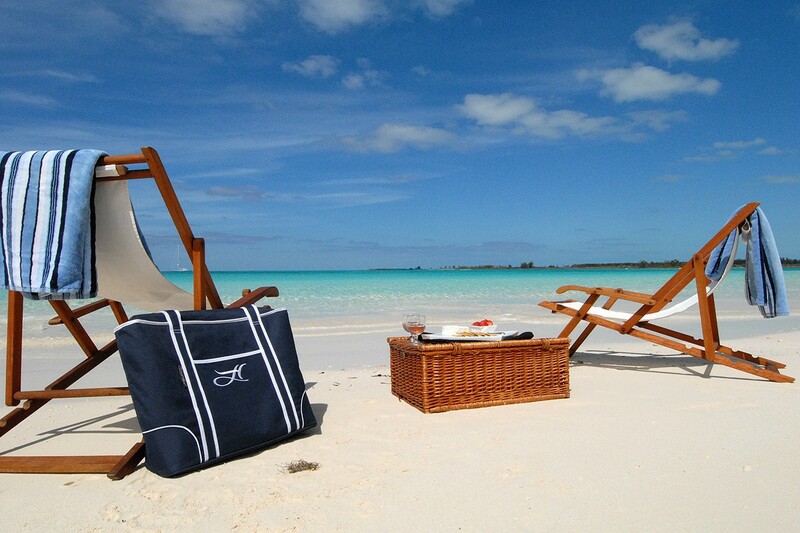 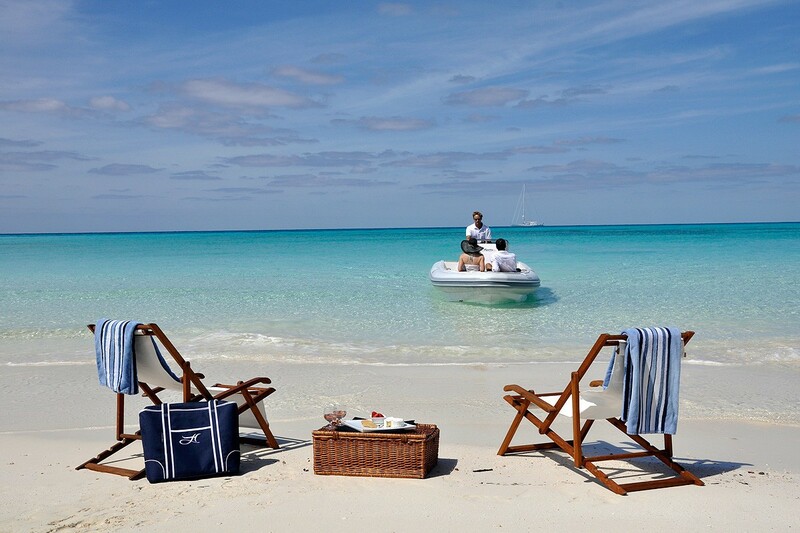 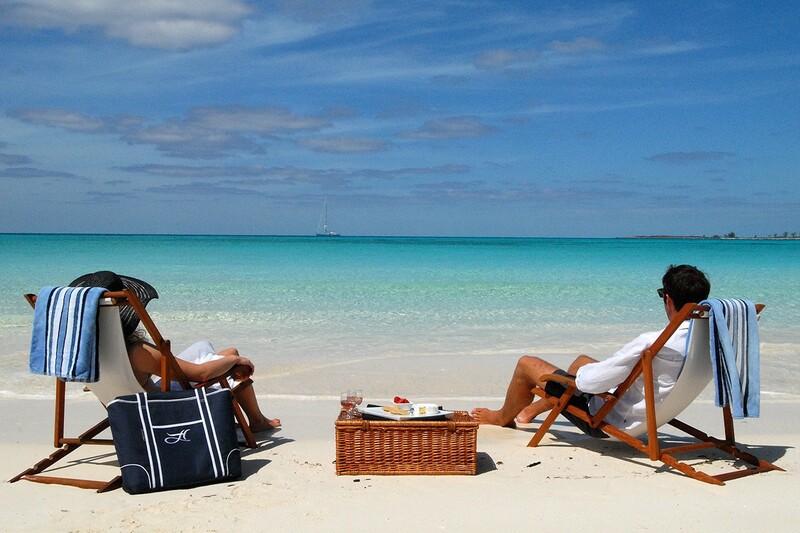 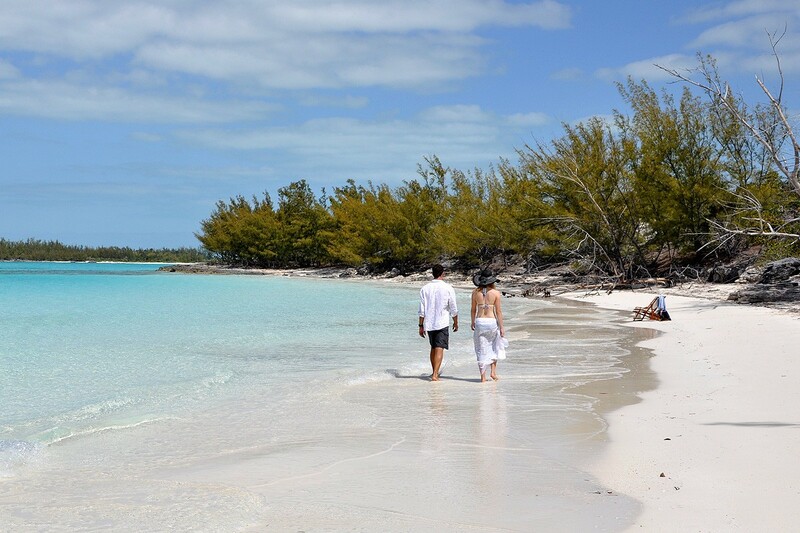 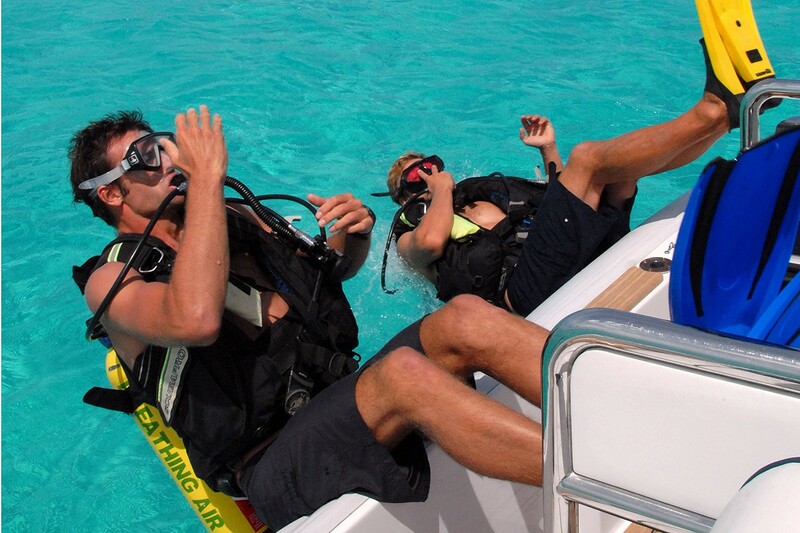 A removable Bimini cover is available for further comfort, no matter the weather or occasion. 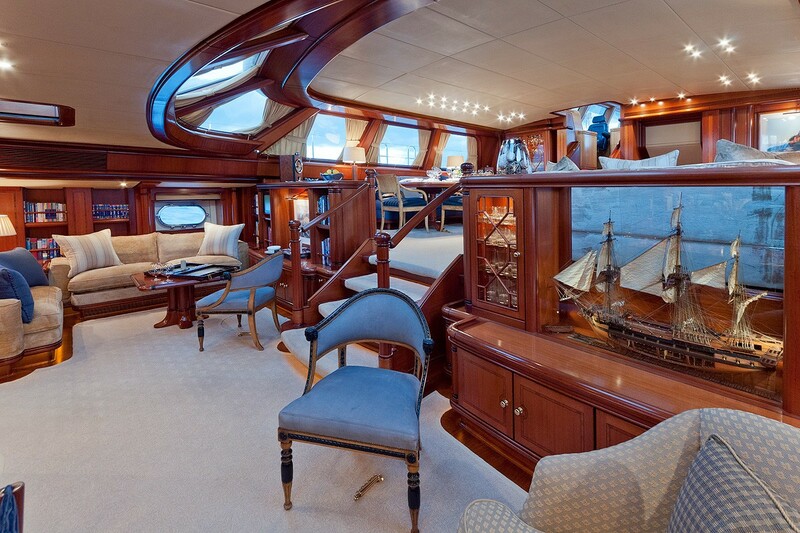 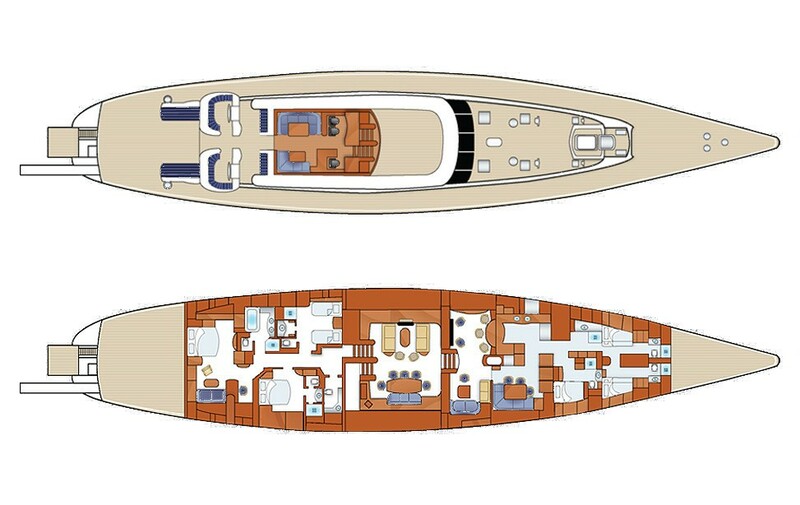 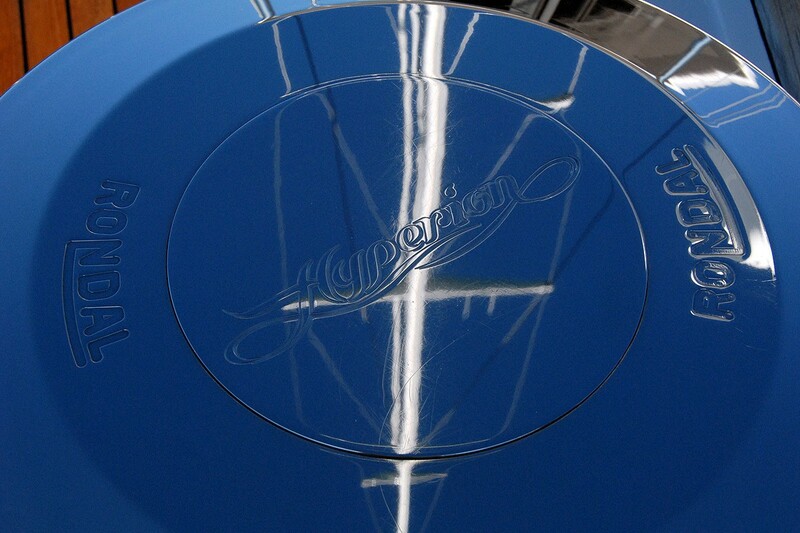 Crewed mega yacht HYPERION has a substantial beam of 9.5m (31.4ft). 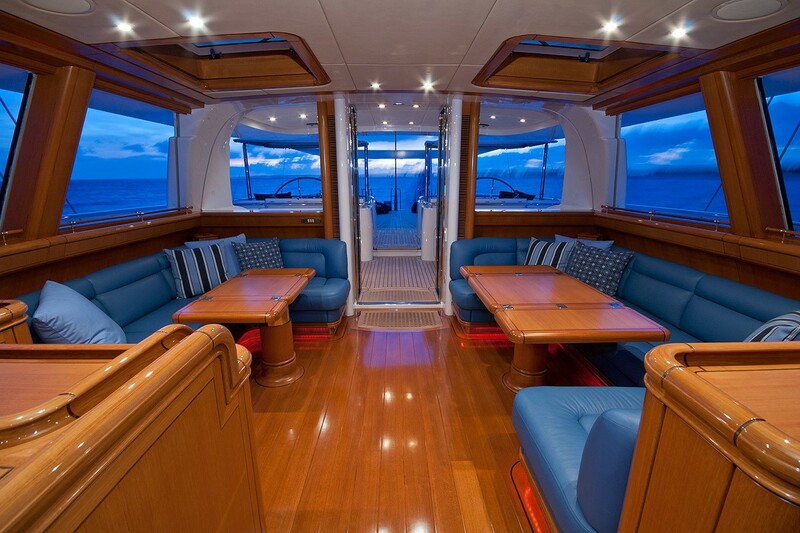 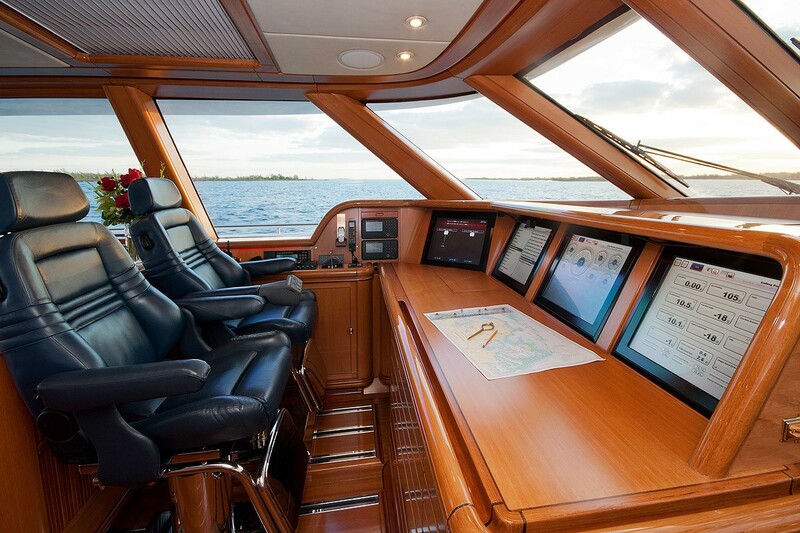 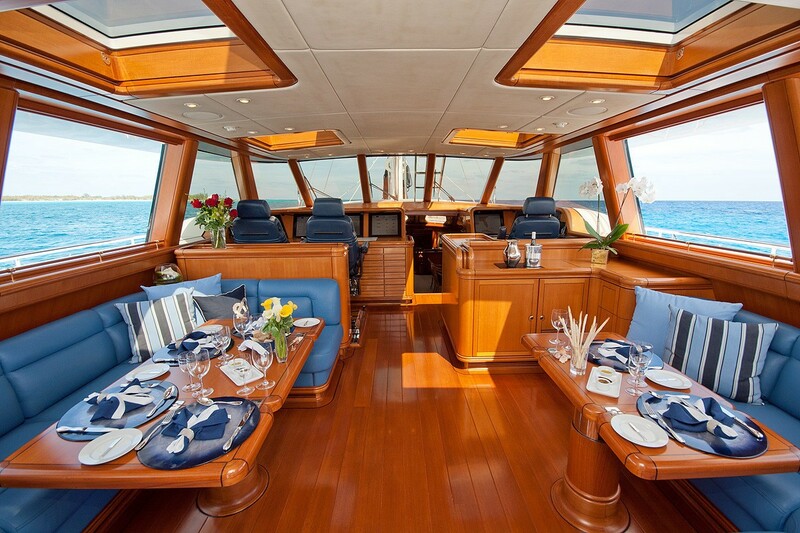 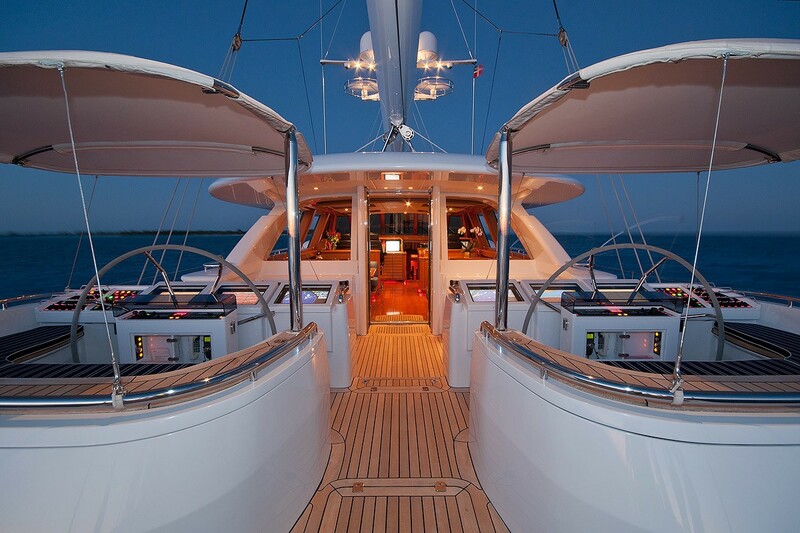 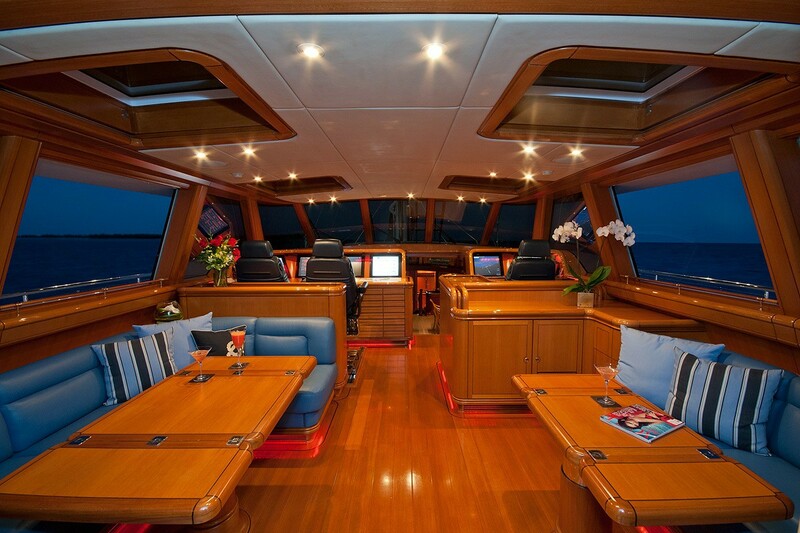 Her wrap around wide decks give easy access to the expansive, flush foredeck and ample relaxing areas. 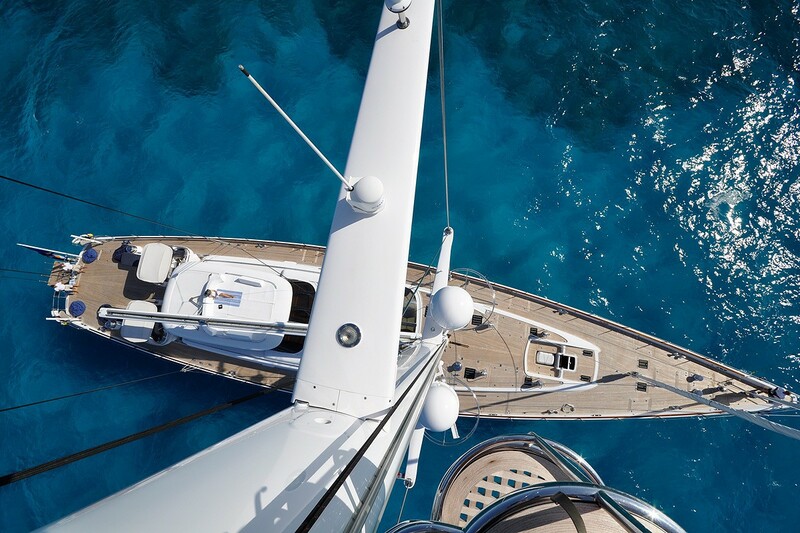 The HYPERION sailing yacht’s milestones include her carbon fiber mast which stands at 59m (193.5ft) in length and exerts some 200 compressive tons at the base. 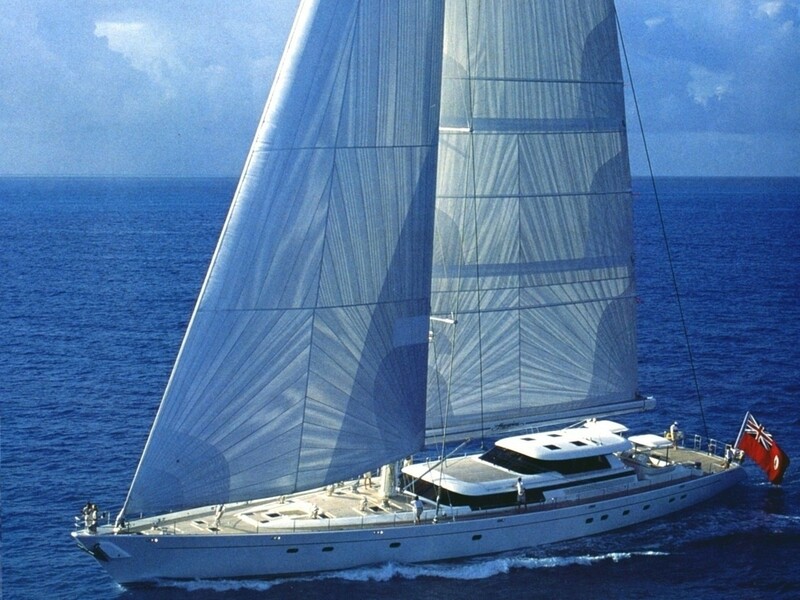 She has 59 km of wiring and 13,000 square feet of sail area. 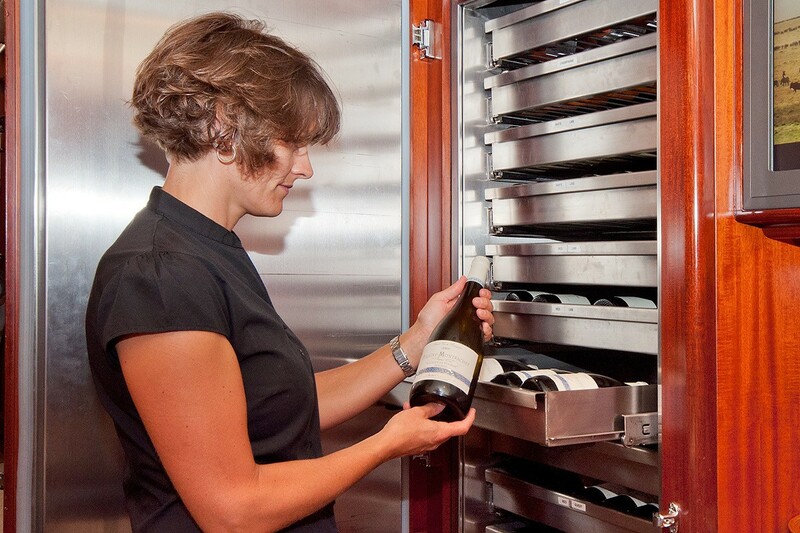 Unique indoor amenities include a state of the art temperature controlled wine rack for some 200 bottles and over 500 billion bytes of computer technology. 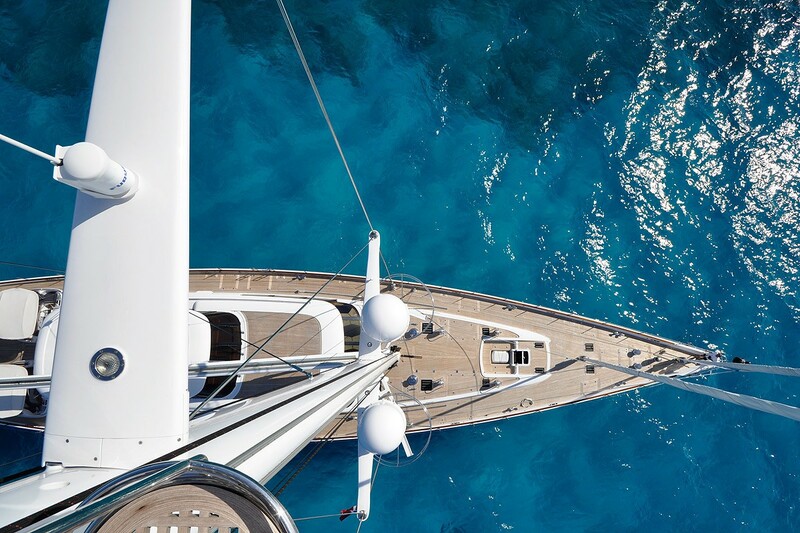 It was with great pride that the Royal Huisman Shipyard received the prestigious Showboats International Award for the best sailing yacht over 38m (125ft). 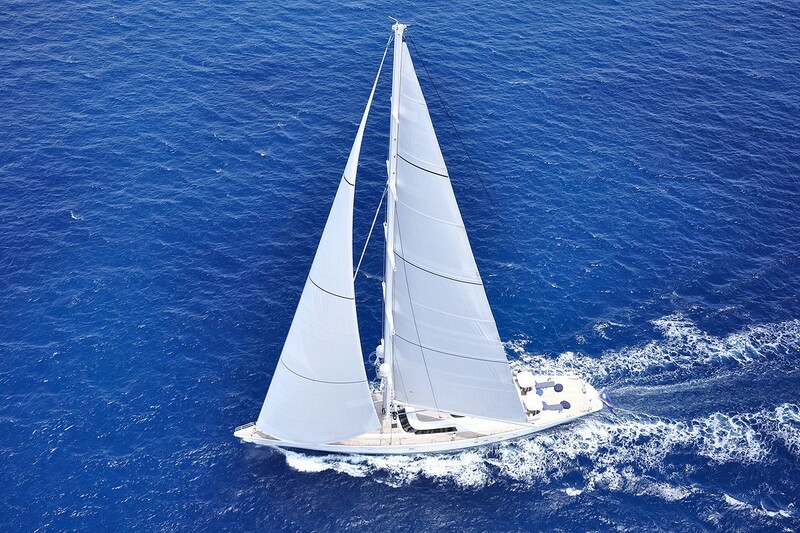 The yacht and crew were also the winners of the super yacht millennium cup yacht race in New Zealand. 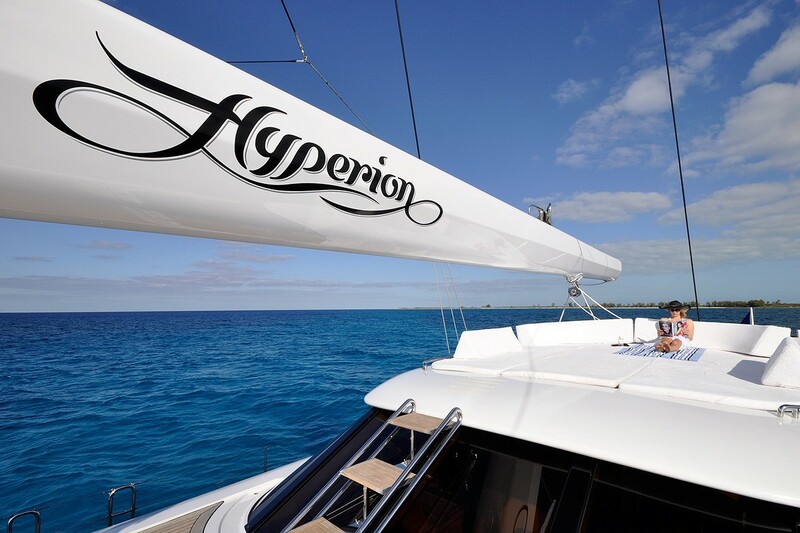 HYPERION boasts plenty of water toy options, thanks to the extended hydraulic swim platform, the active in the group will find making use of them effortless, while others may wish to simply soak up the sun. Hyperion's 2015 refit included upgrading the propulsion shaft and propeller, installing new gensets and a new main switchboard, upgrading her navigation and communication systems (including the PLC hardware and alarm & monitoring software), overhauling and painting her hull and superstructure, and installing new teak decking. 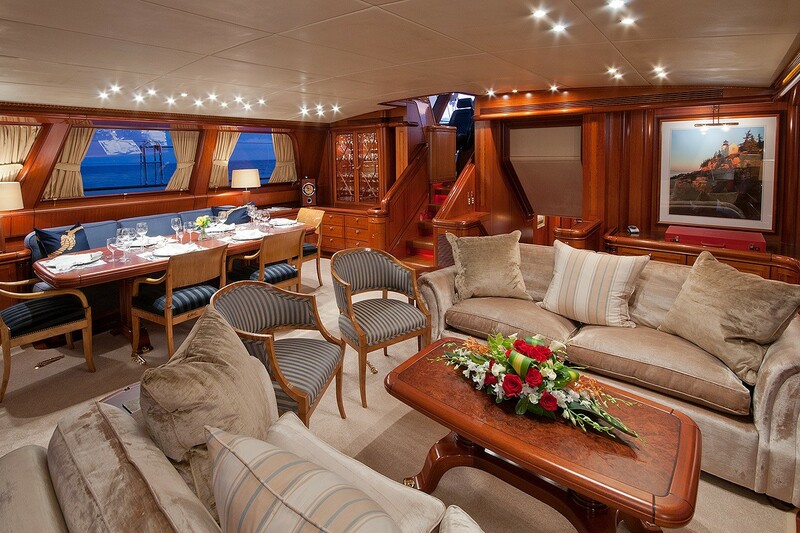 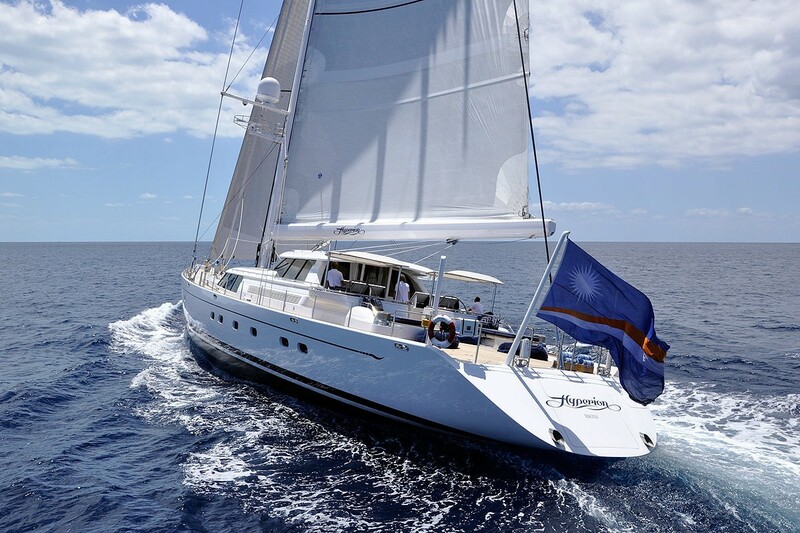 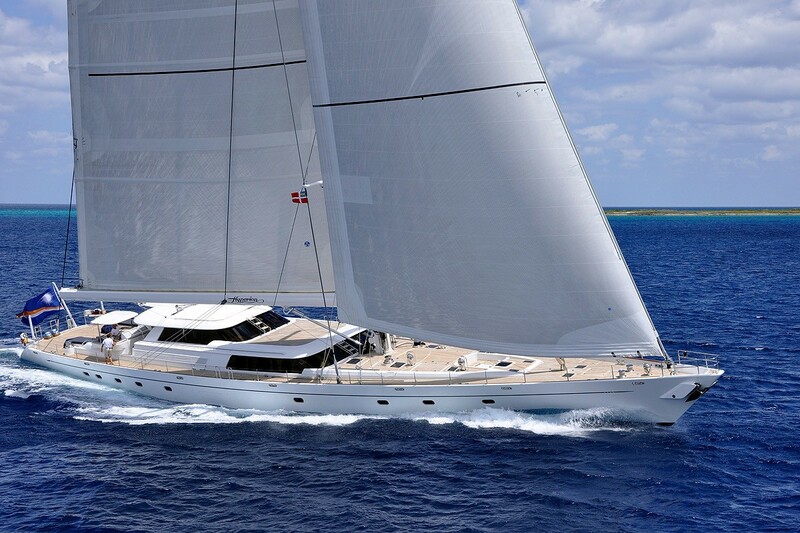 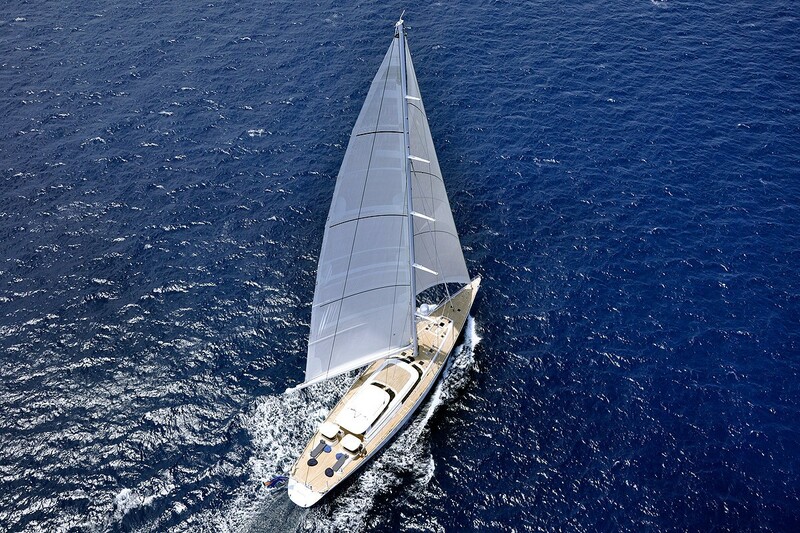 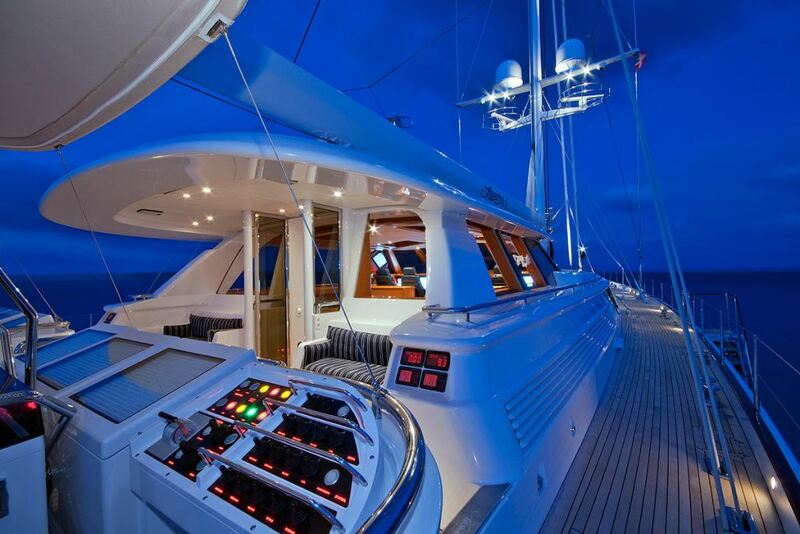 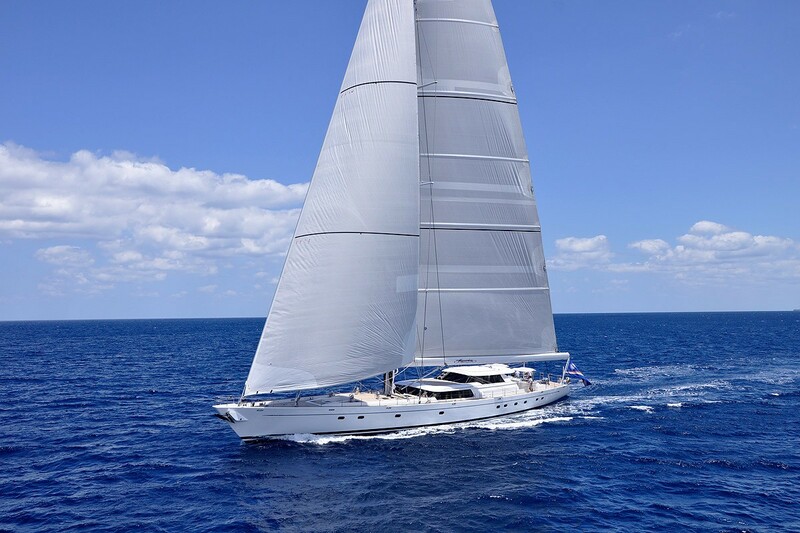 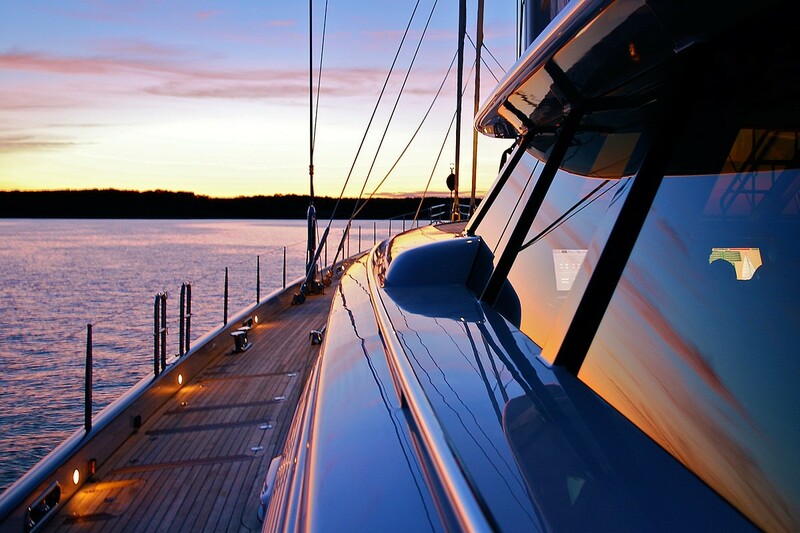 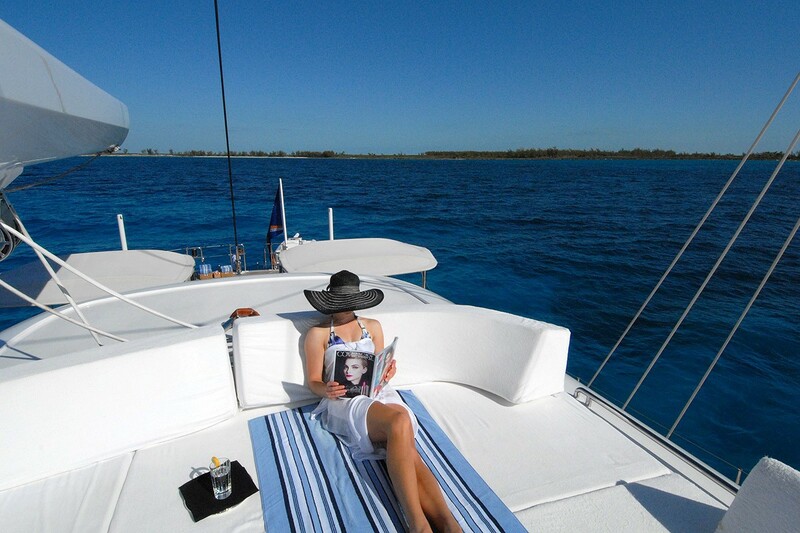 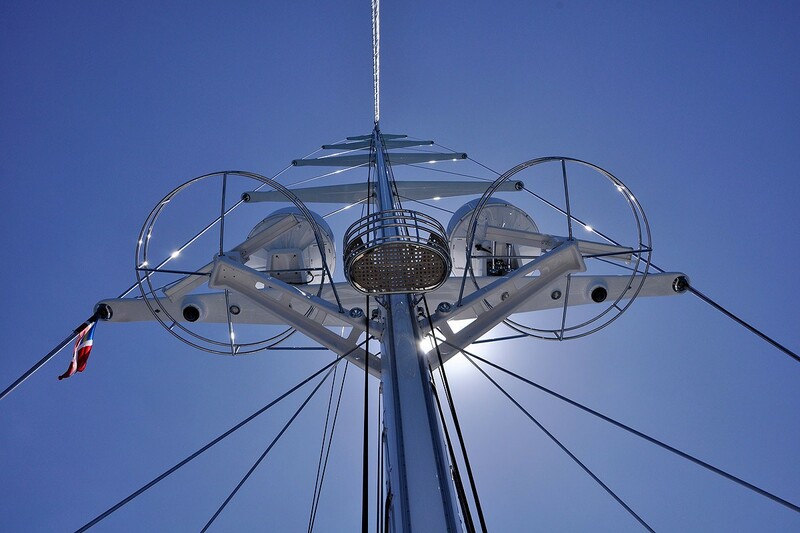 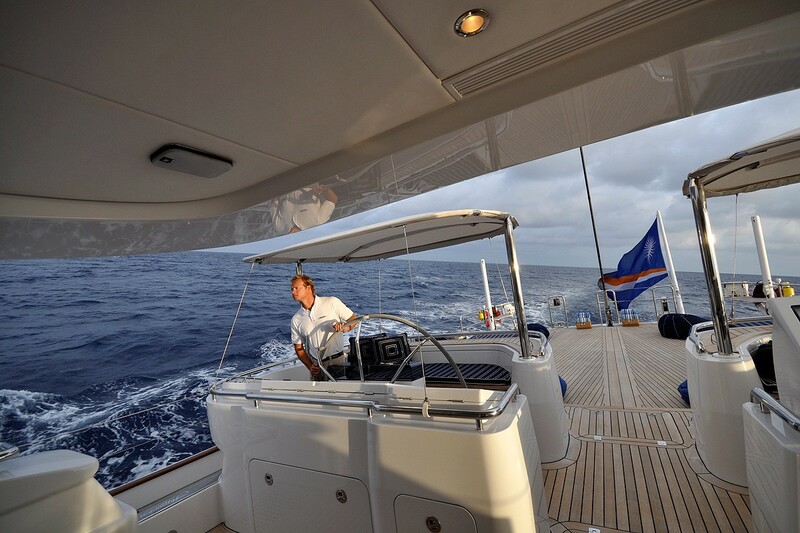 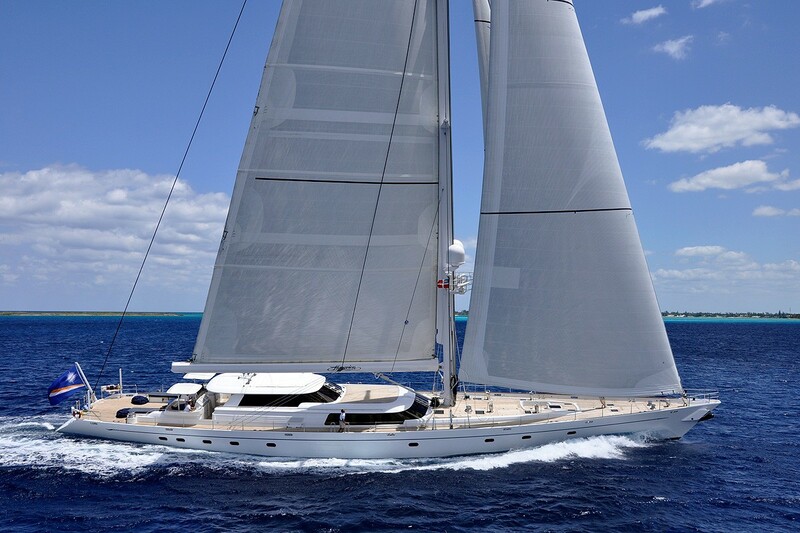 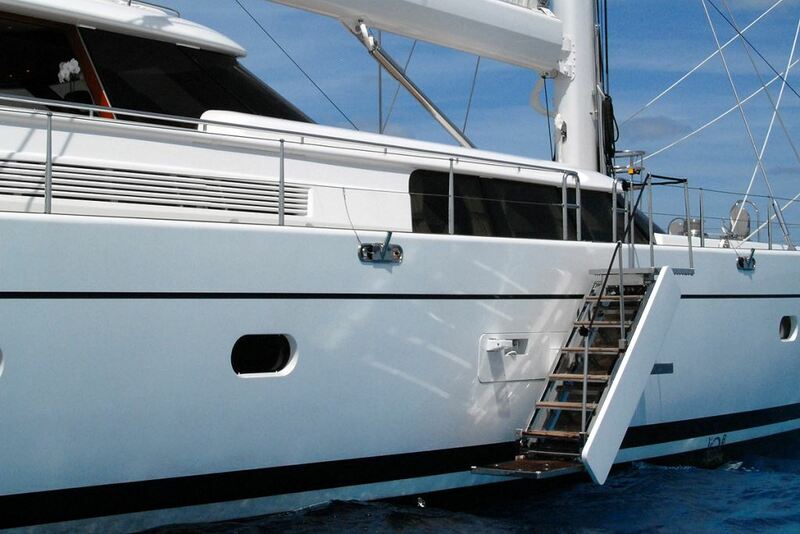 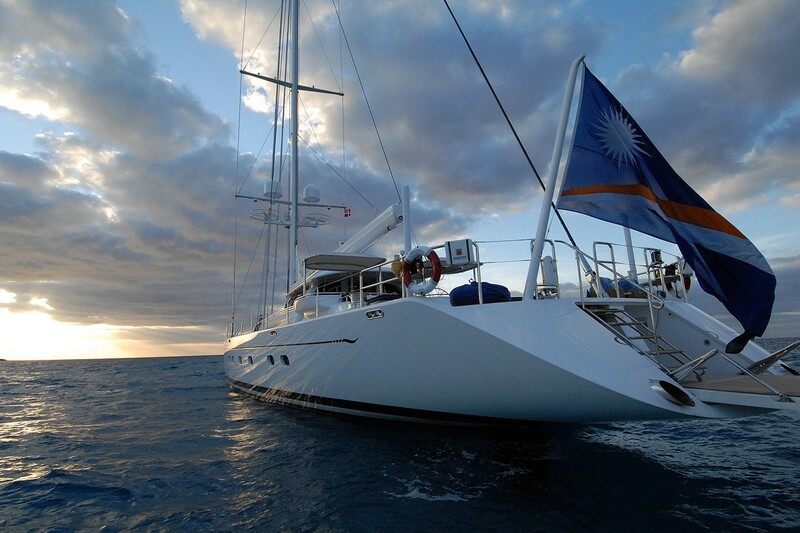 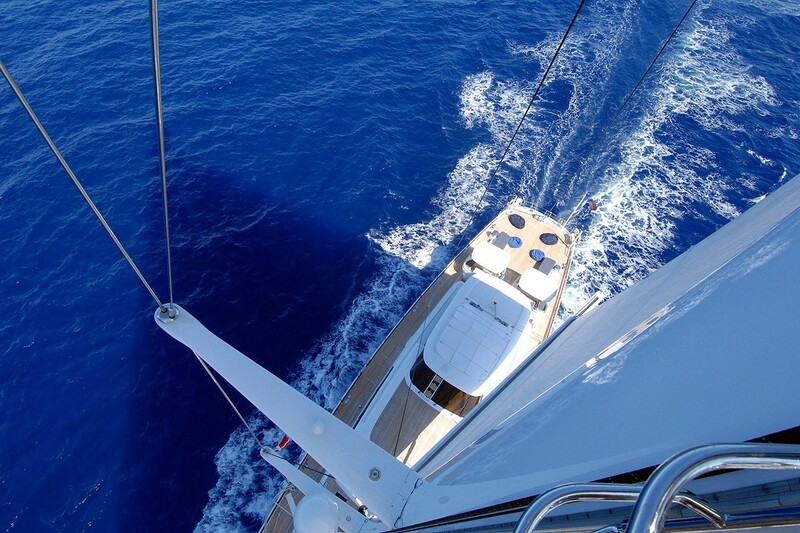 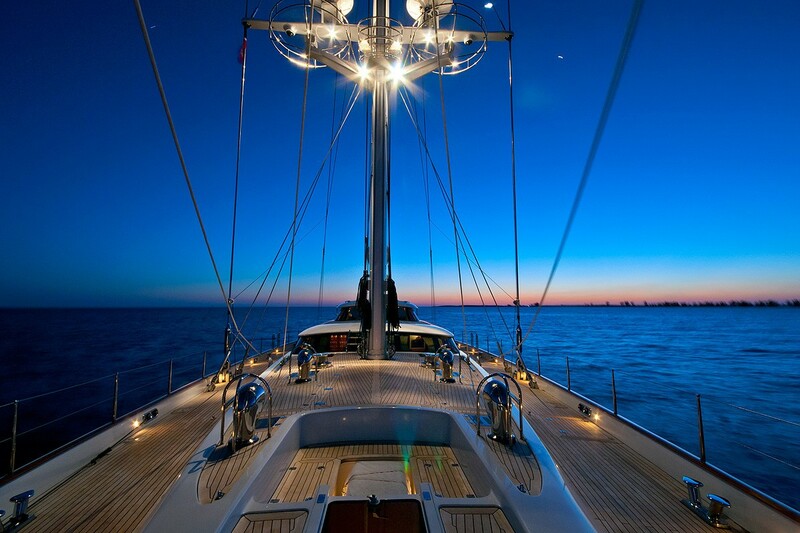 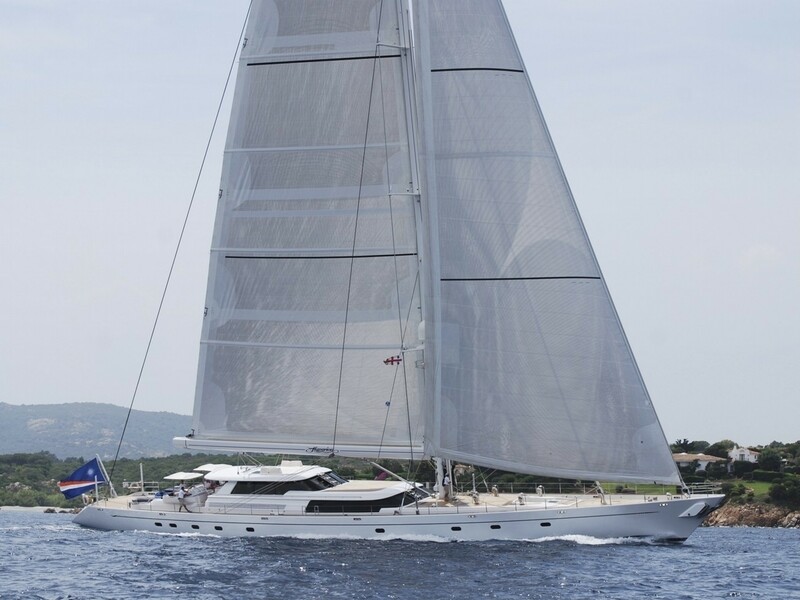 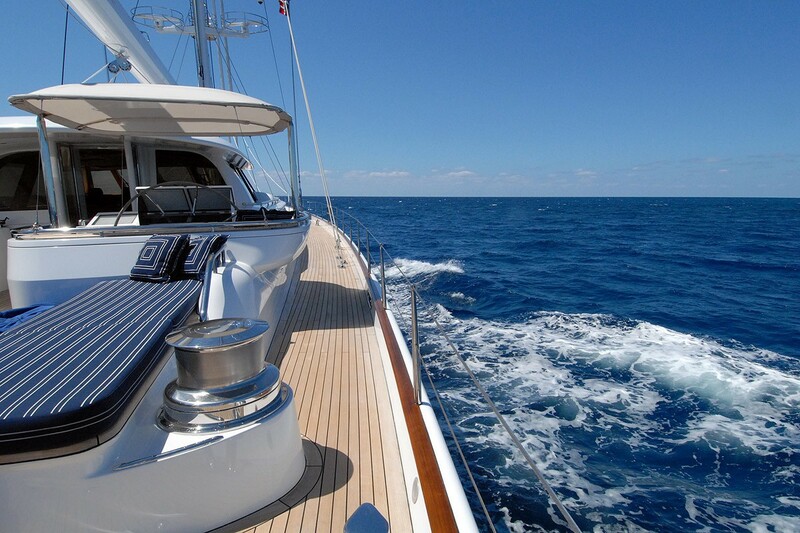 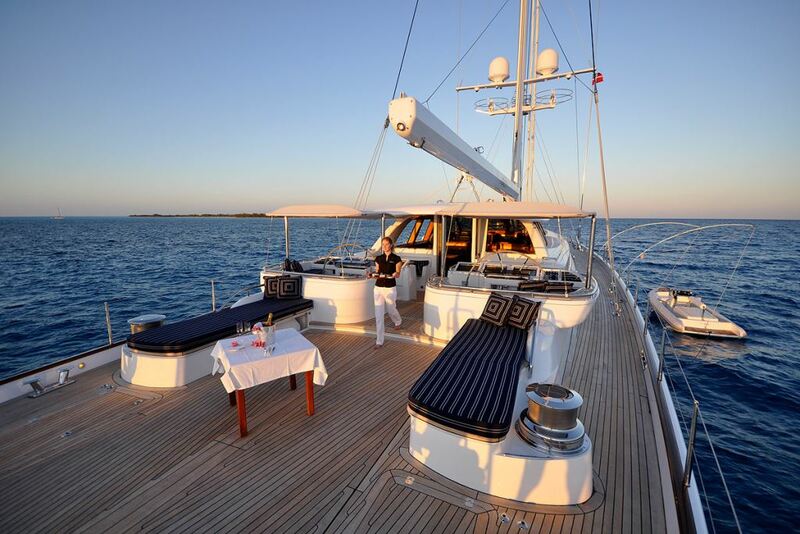 Luxury accommodation aboard the sailing yacht HYPERION is provided in 2 double and 1 twin cabin. 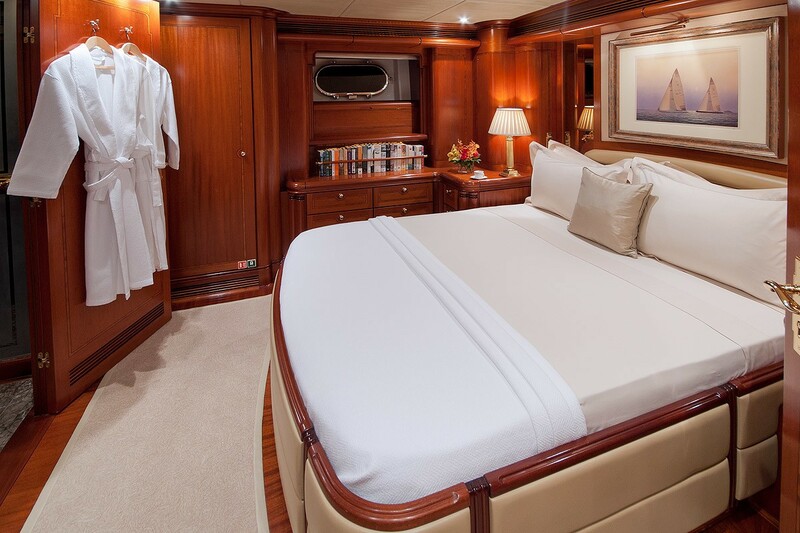 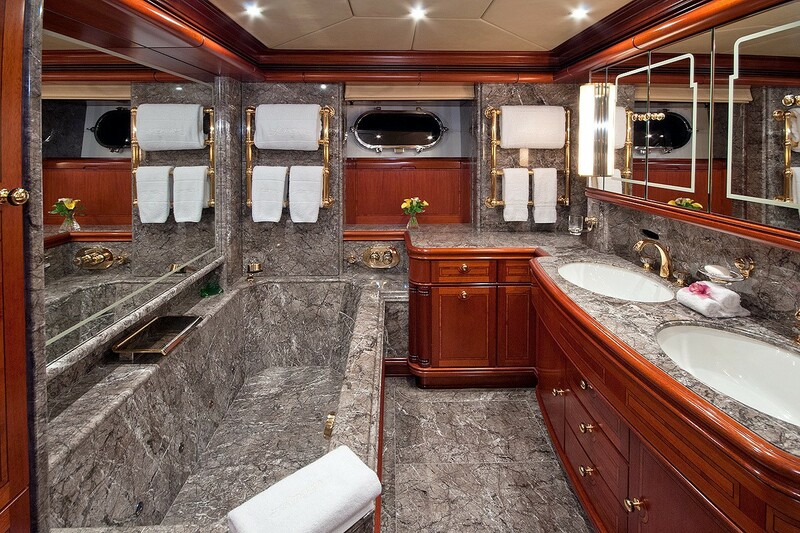 The master stateroom is aft and full beam of the yacht with a queen size bed, private lounge, office space and impressive marble en-suite including a deluxe tub. 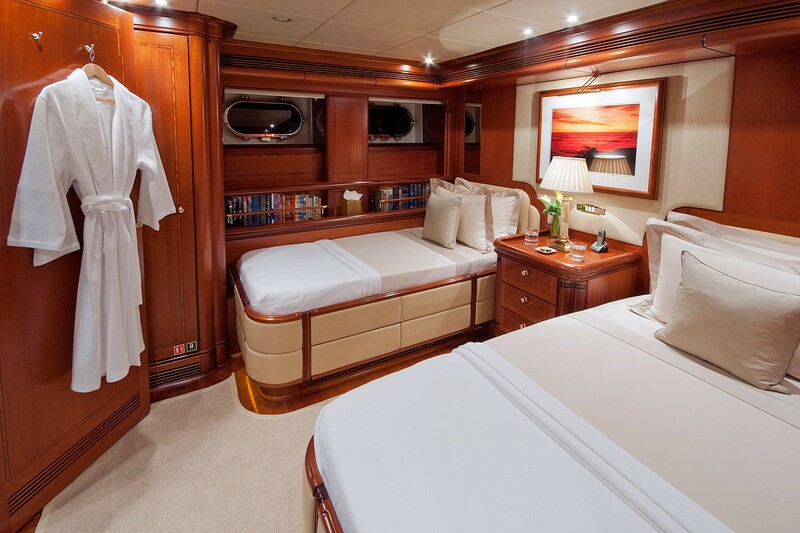 A double cabin offers a double bed and en-suite with shower. 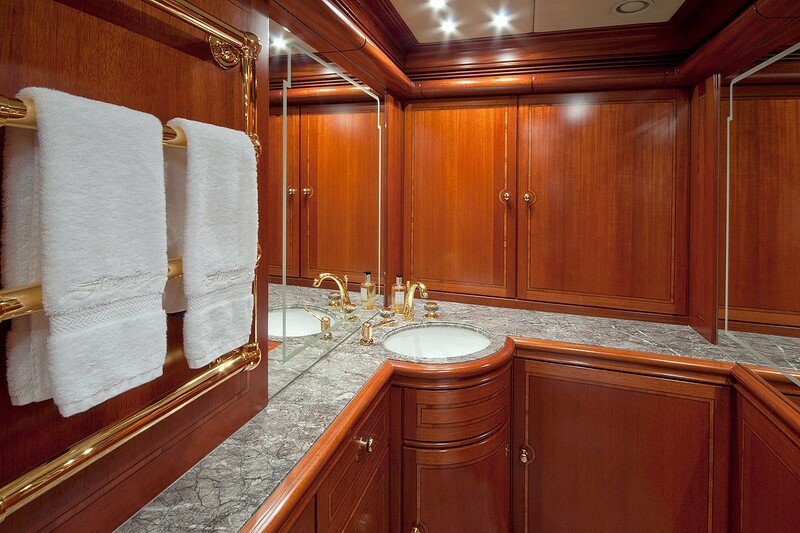 A further guest cabin has 2 side by side single beds and an en-suite with shower. 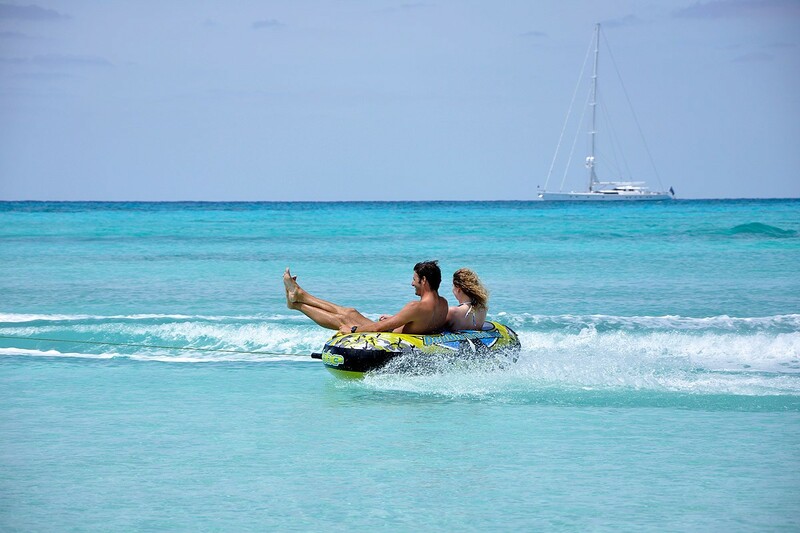 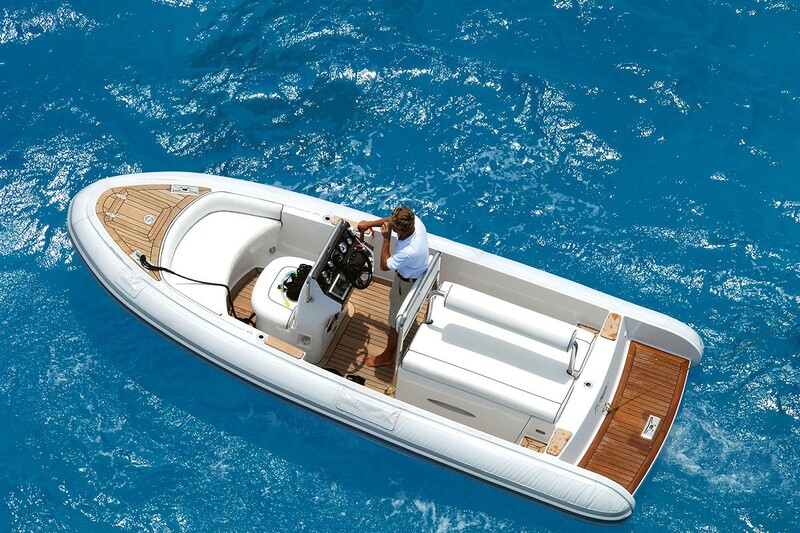 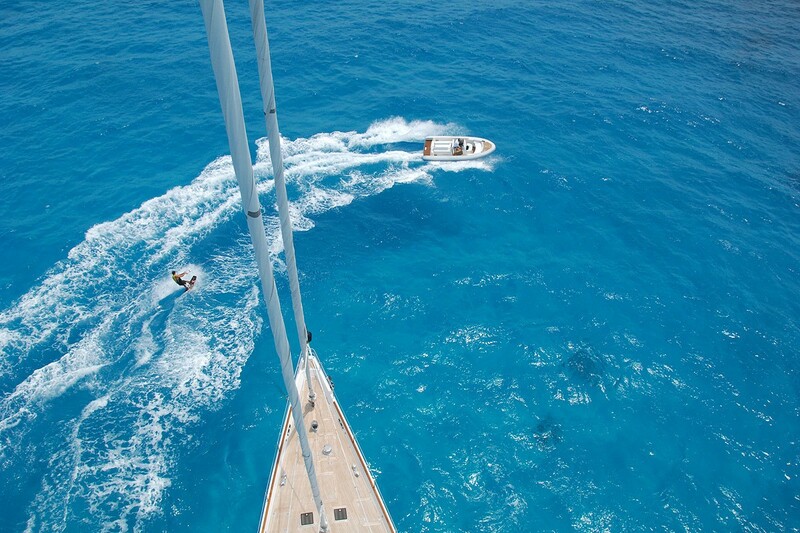 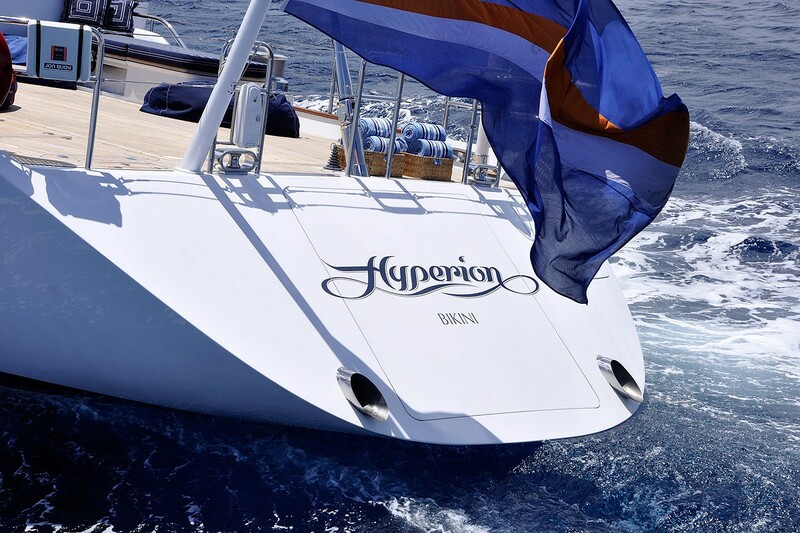 Tenders & Toys onboard sail yacht HYPERION include a 5,4m Yamaha 165 hp diesel, a Zodiac inflatable tender with Hondo BF 30 A, a Nash Kite board, 1 set of water skis, 1 Knee board, 1 windsurfer (on option), Fishing gear Snorkeling gear. 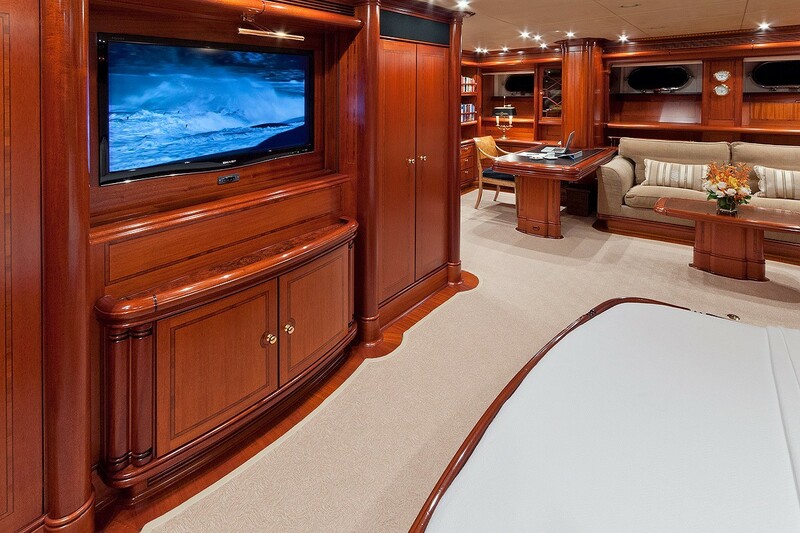 Audio Visual Equipment and Deck Facilities 42' Plasma Screens in saloon and owner's cabin 20' screen in guest cabins Sony DVD 2 pentium pc computers Seascape stereo music system throughout the yacht - 9 independent zones with acces to 2,000 CD albums in MP3 format from a central hard disc. 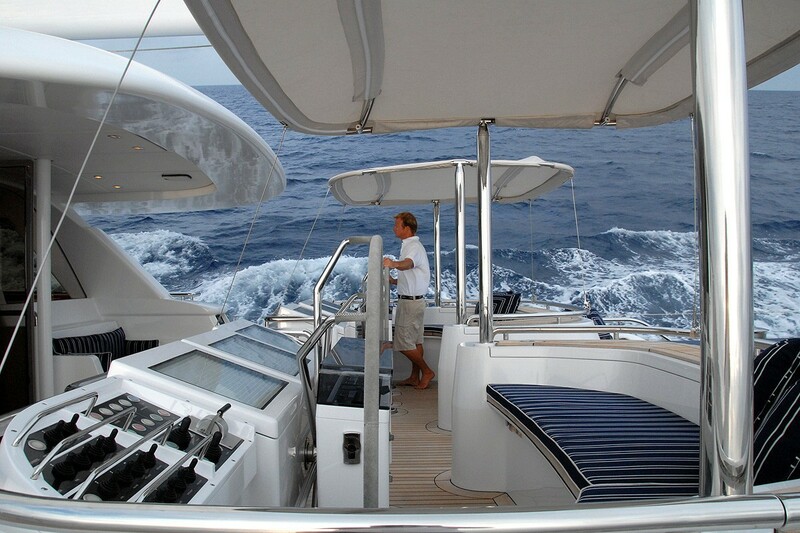 Communications satcom VHF Radiotelephone 1 Siemens Hicom 130 wireless telephone exchange with 21 extensions Very limited internet access, no wifi.